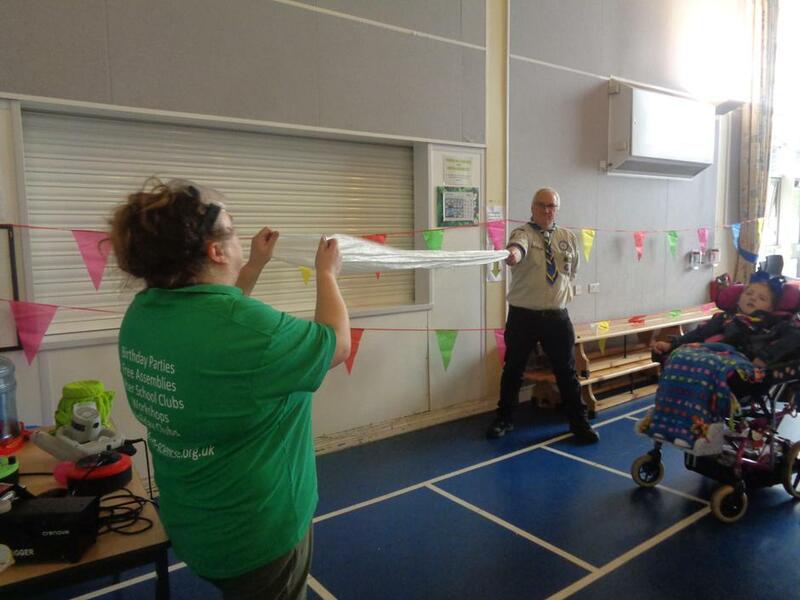 Welcome back to school and Scouting! 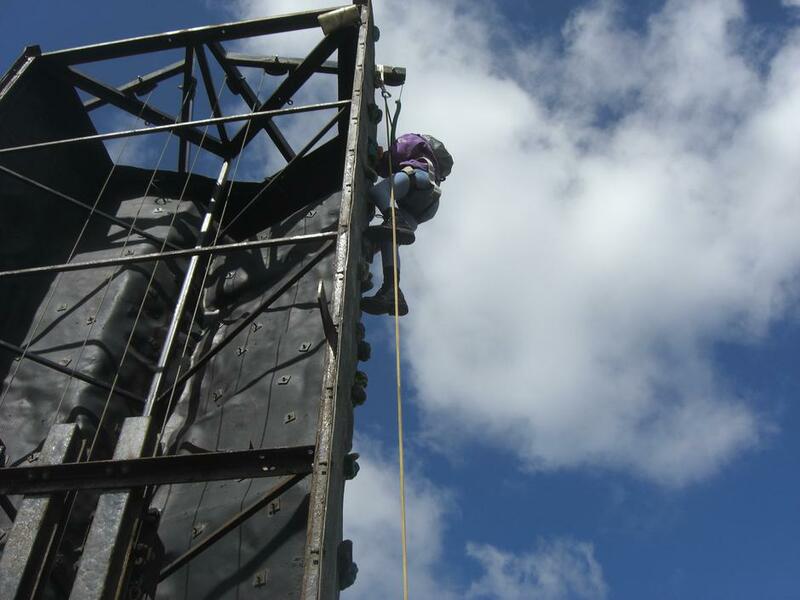 Above you will find details of our activities for the year. 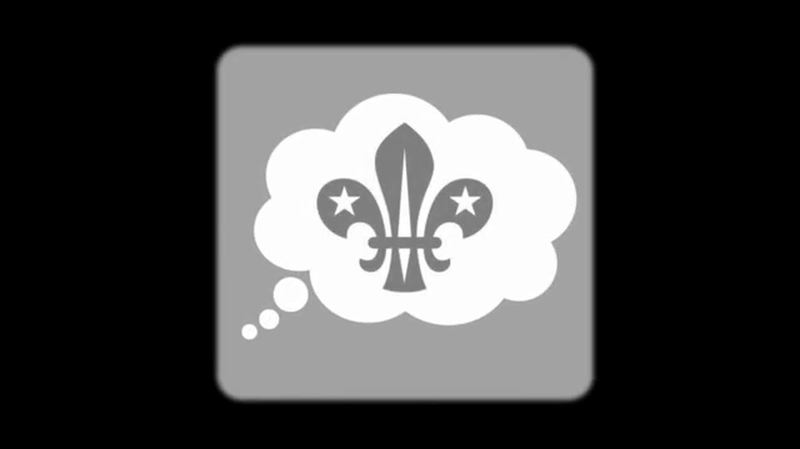 If you wish to join Scout's please write in your child's Home/School book and send your child along for after school on Monday at 3.30pm. 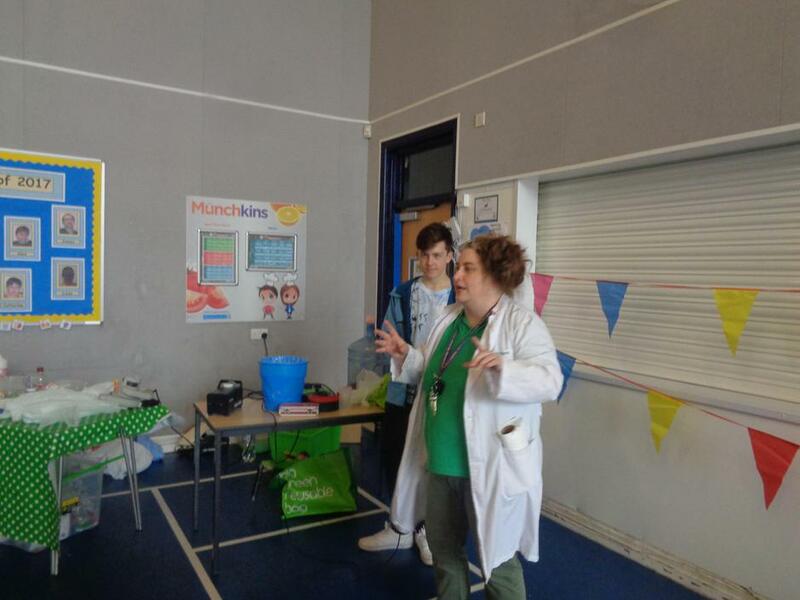 Your child must be collected from the Hall at 4.30pm by a responsible adult. 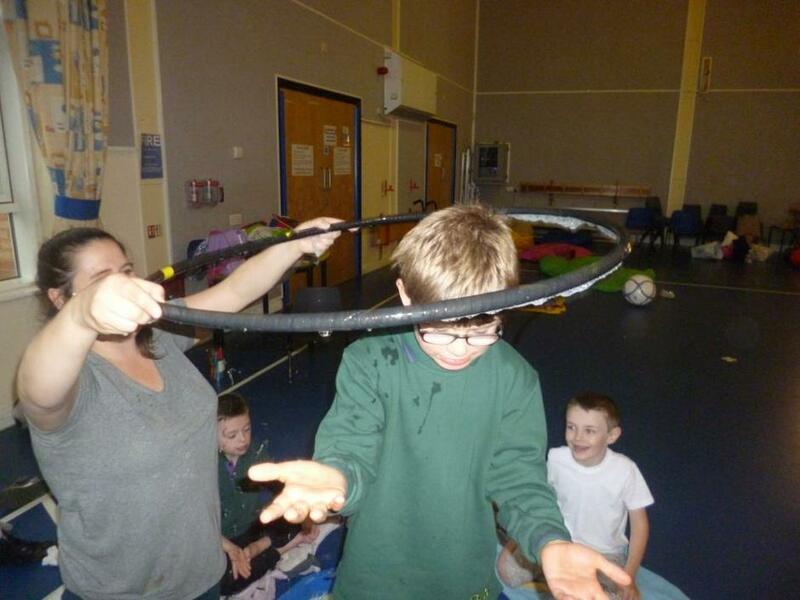 Fees this term are £10.00 per child. 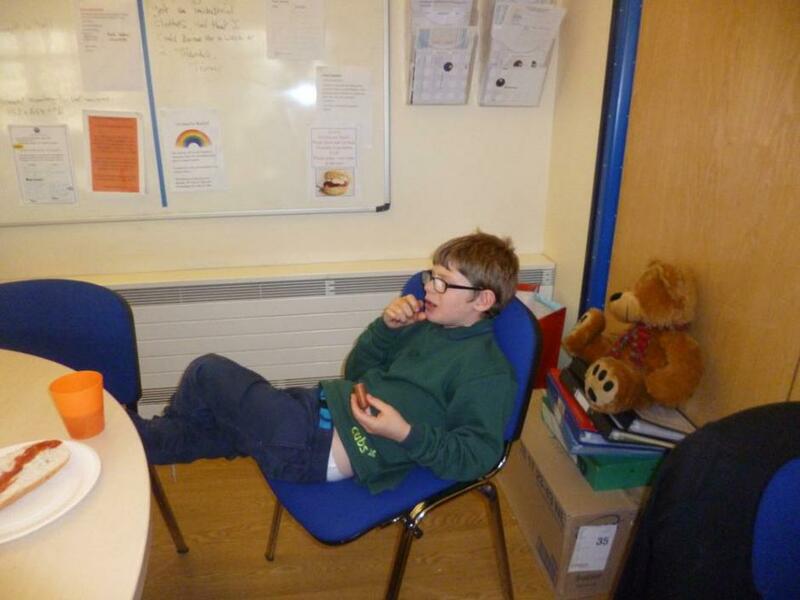 Any queries please contact the school reception and ask to speak to Cathie McDonald. 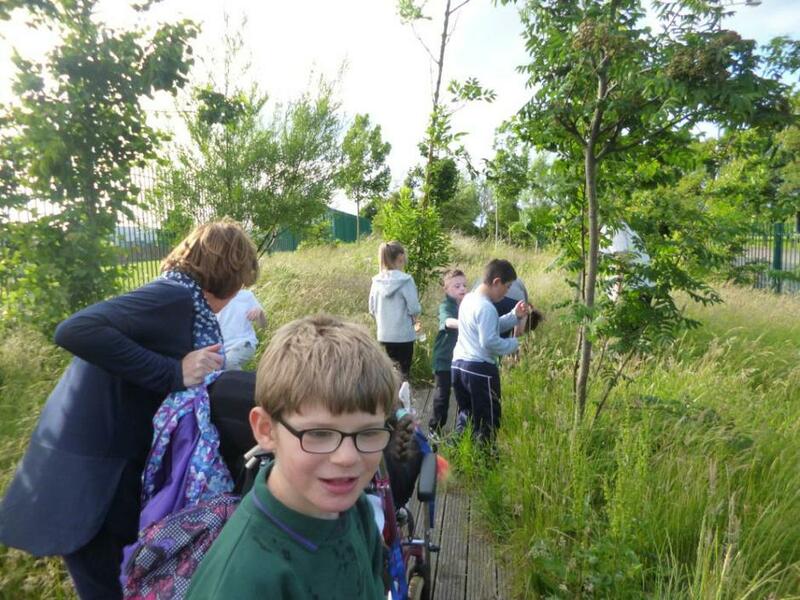 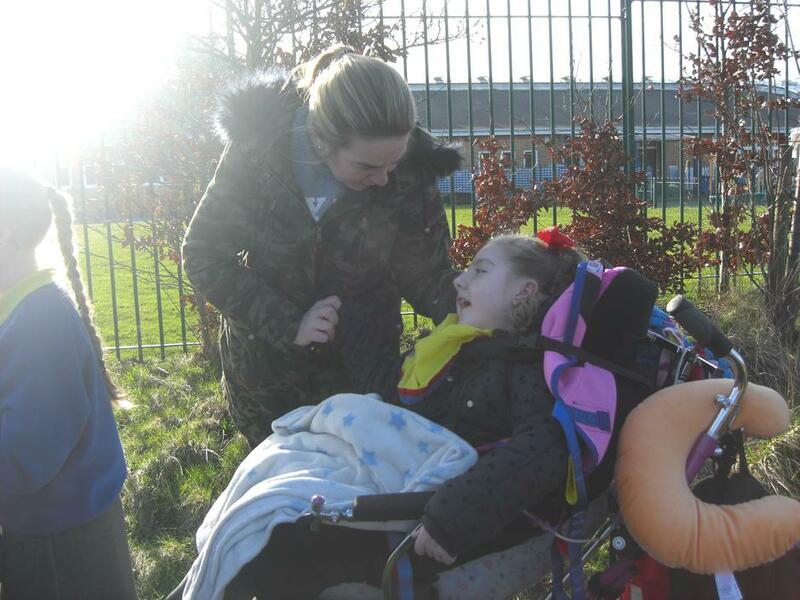 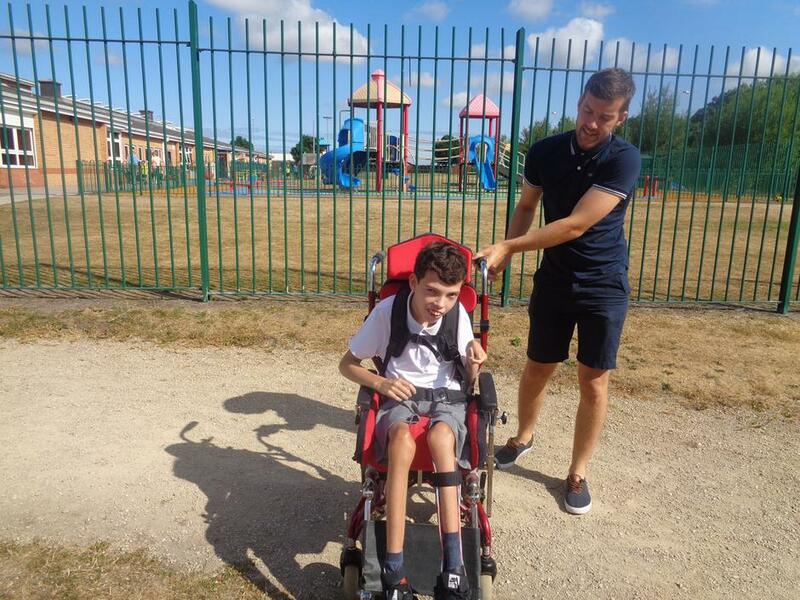 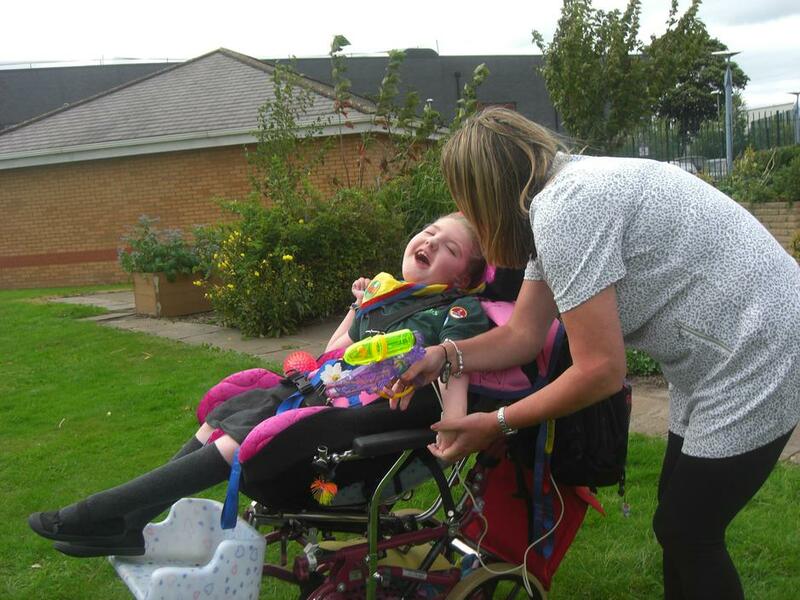 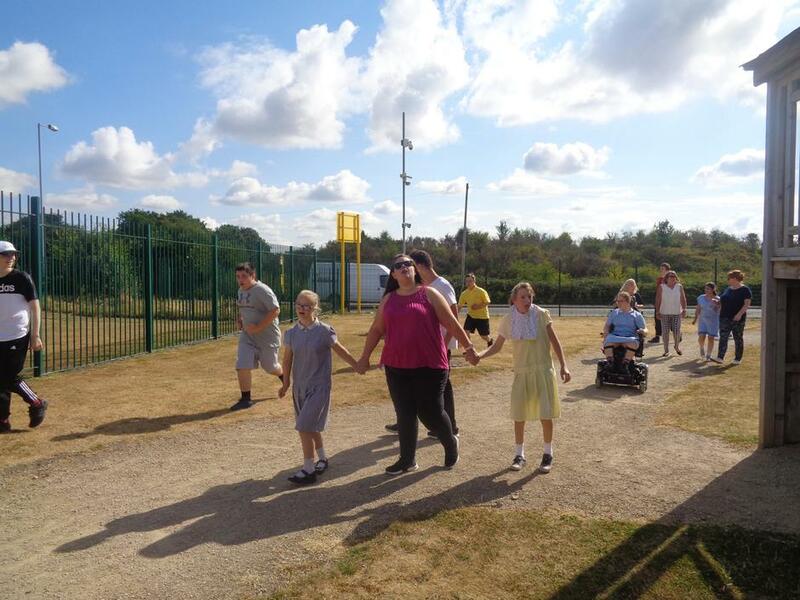 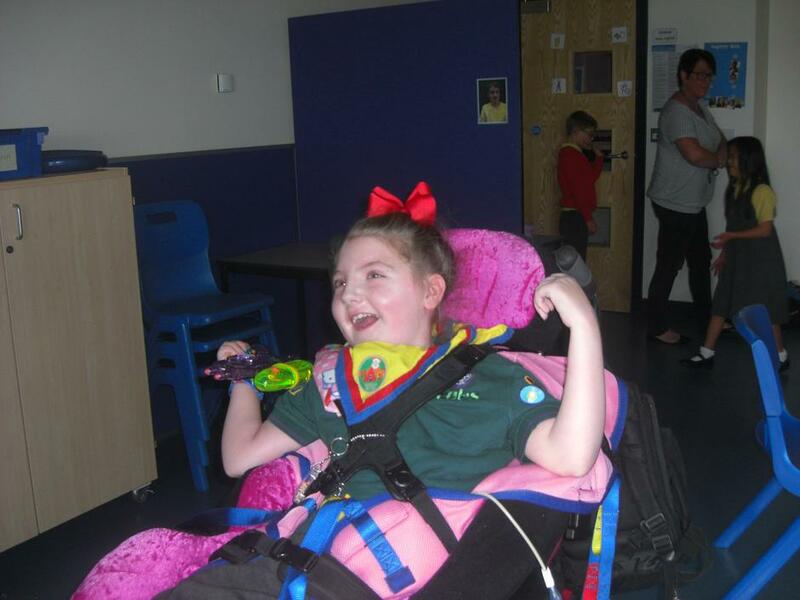 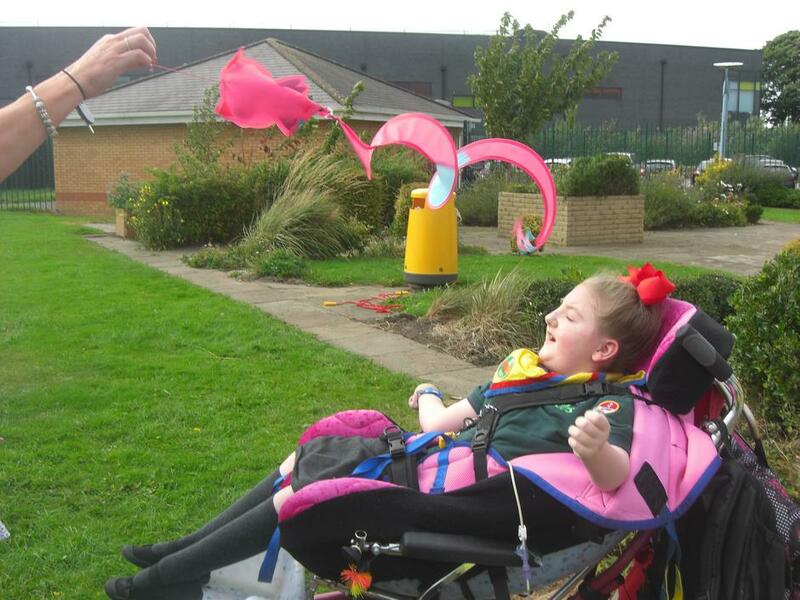 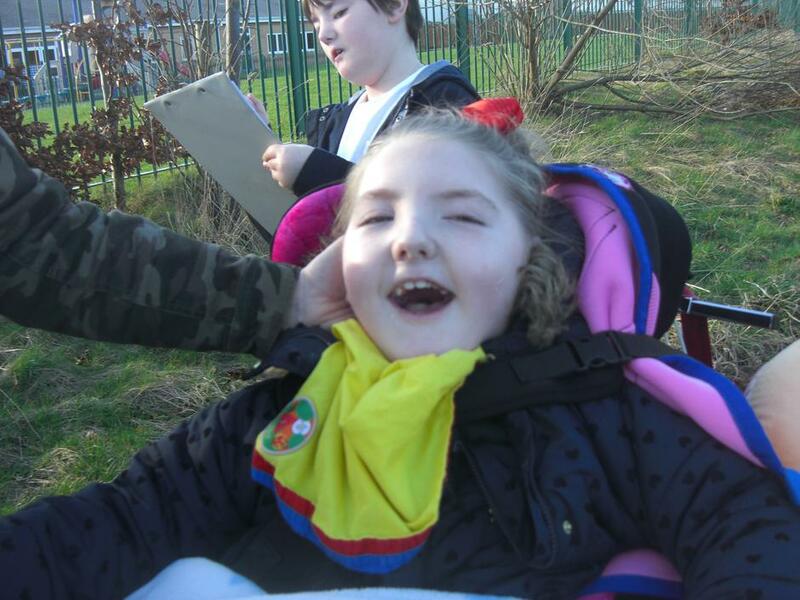 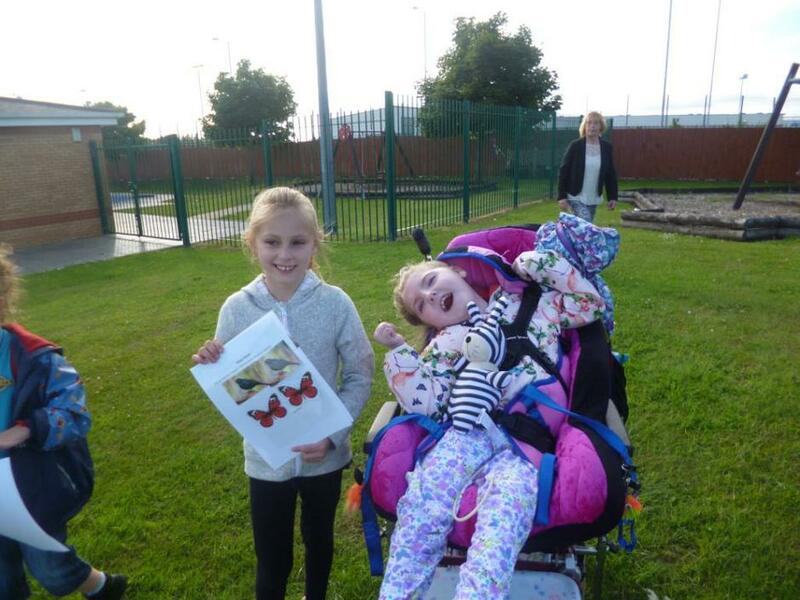 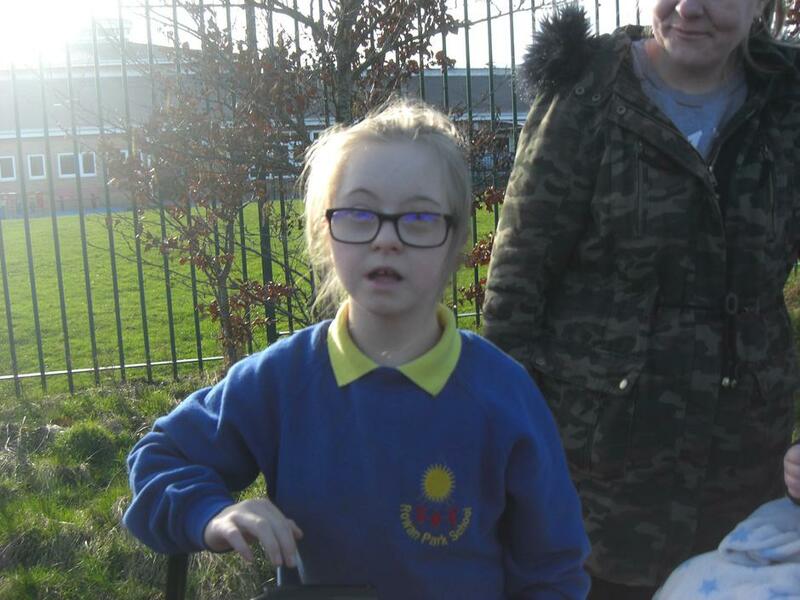 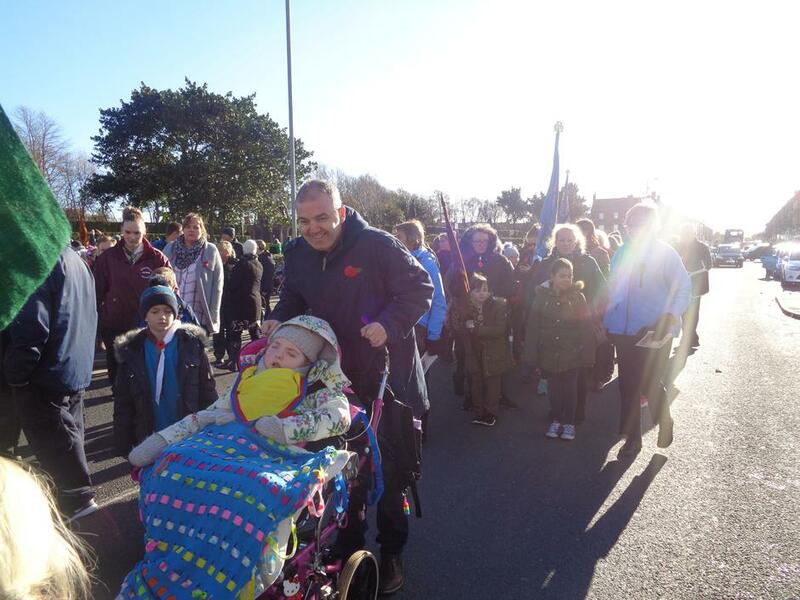 Today saw the whole school taking part in a sponsored walk organised by 1st Litherland Rowan Scout's to raise funds for Riding for the Disabled. 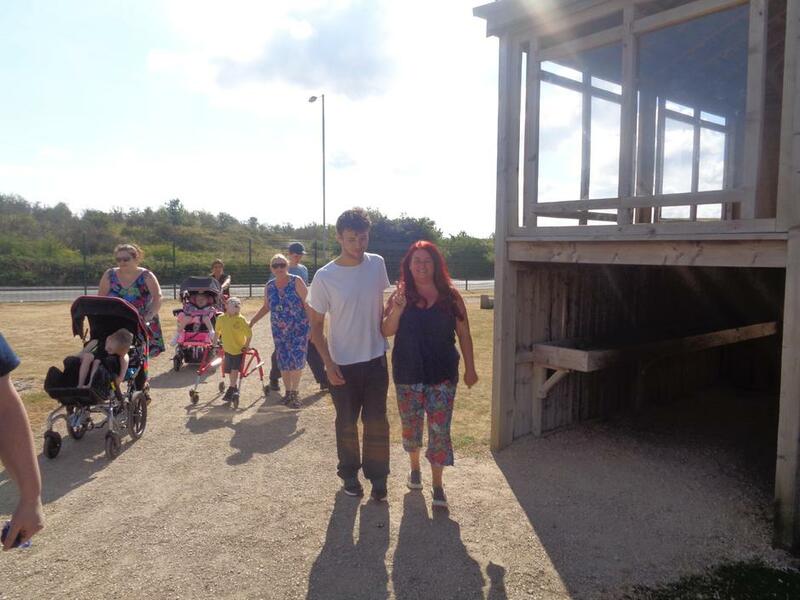 The walk was a huge success even in the heat! 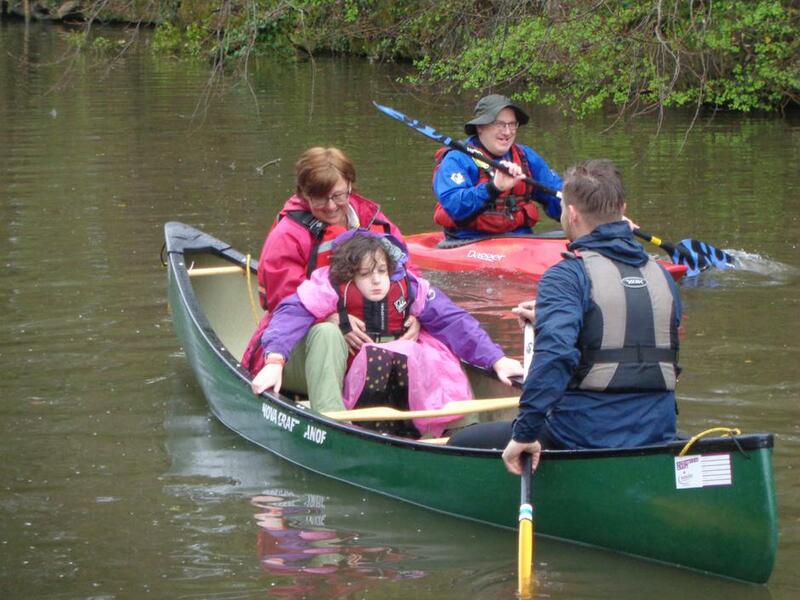 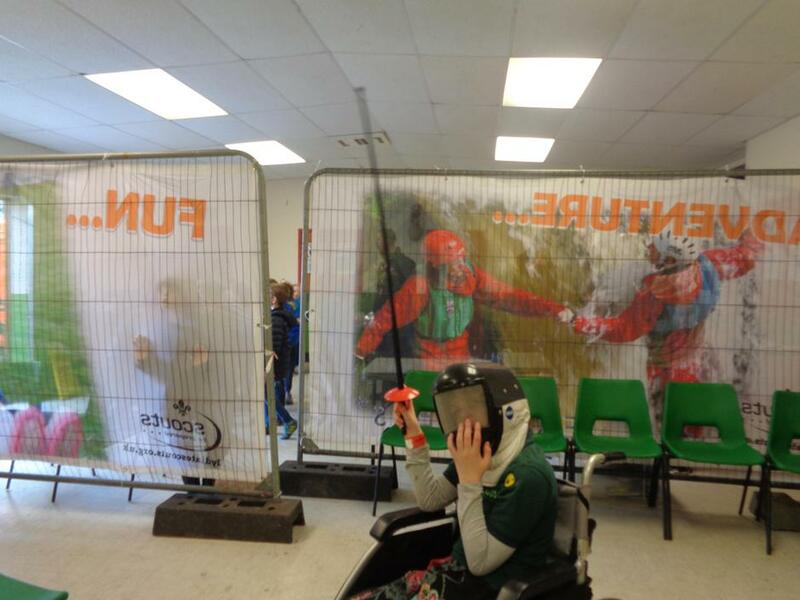 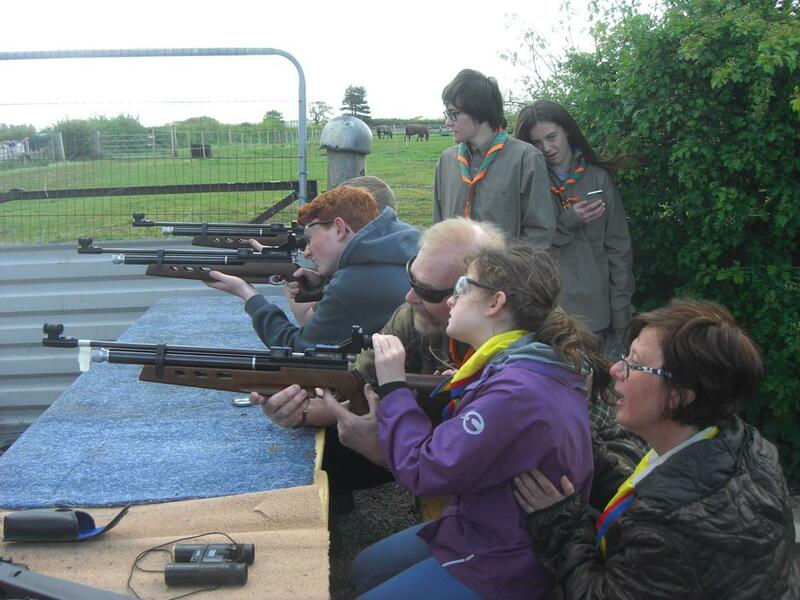 The Scout's organised and marshalled the event as part of their Personal Challenge Badge so well done to them! 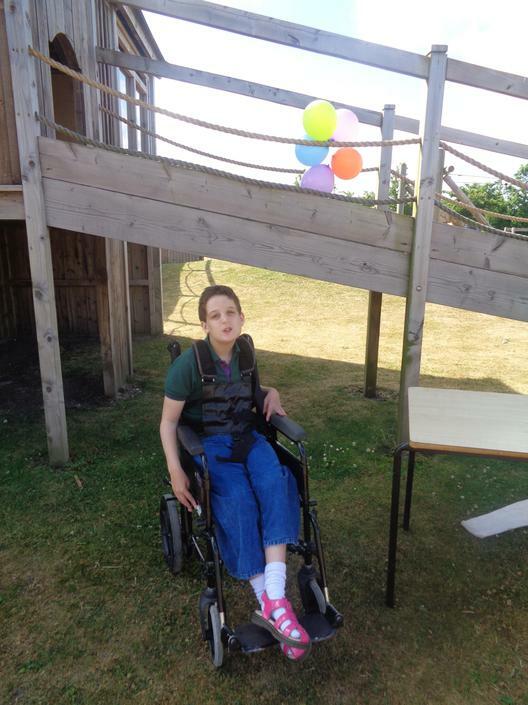 Please ensure all donations are in school by Friday 13th July - Thanks!! 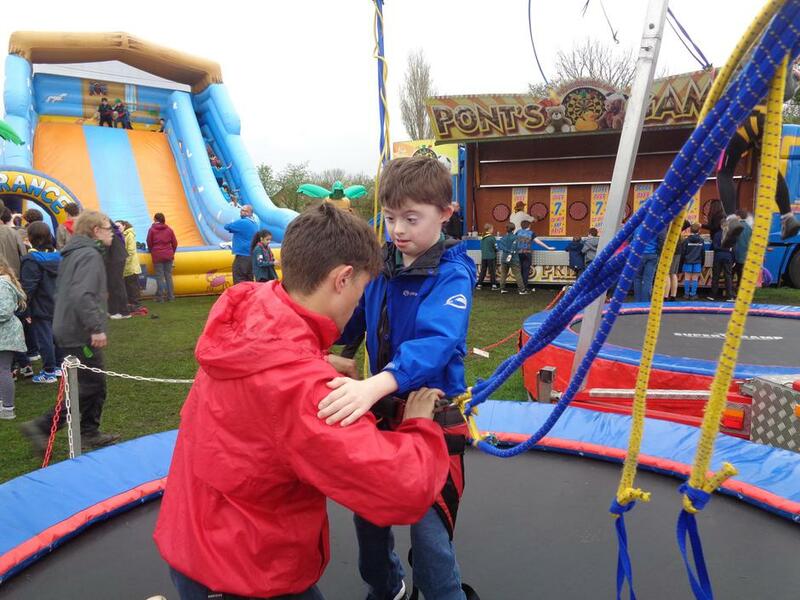 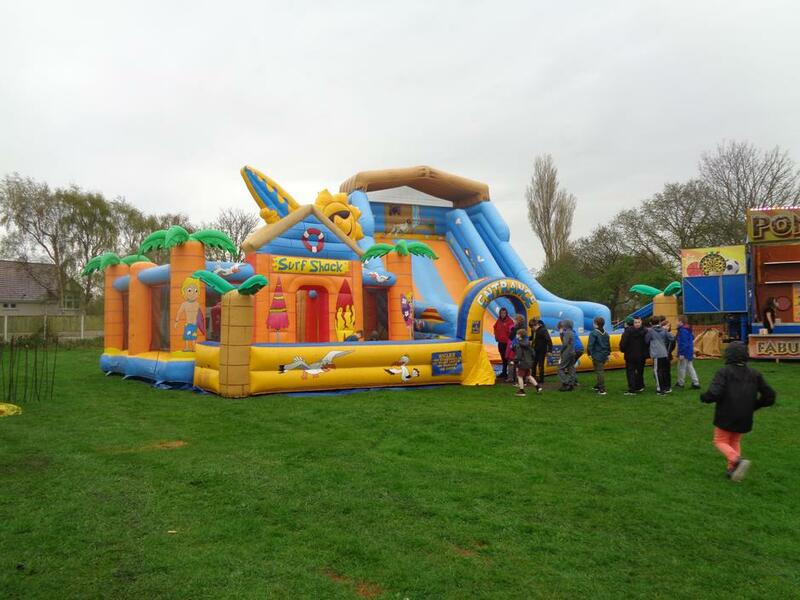 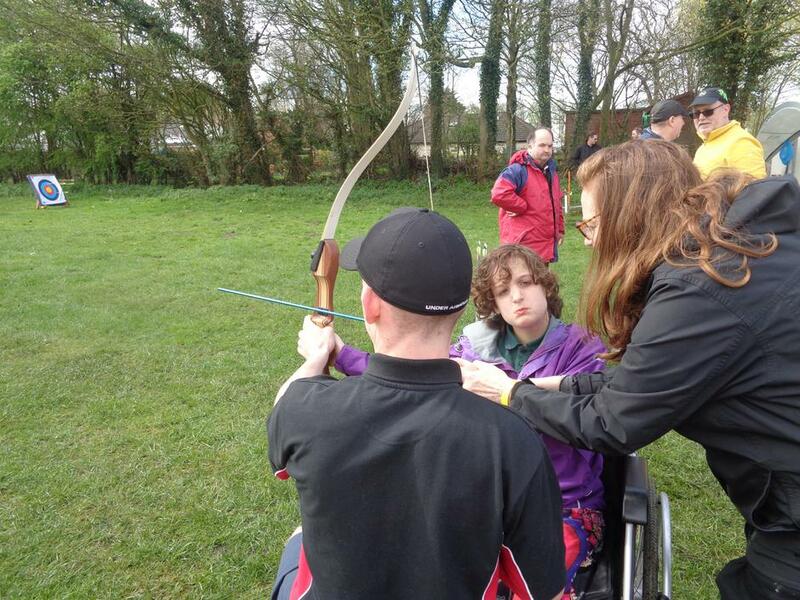 Sunday 22nd April saw 1st Litherland Rowan Scouts meeting up with all our District sections for a fun Activity Day to celebrate St George's Day. 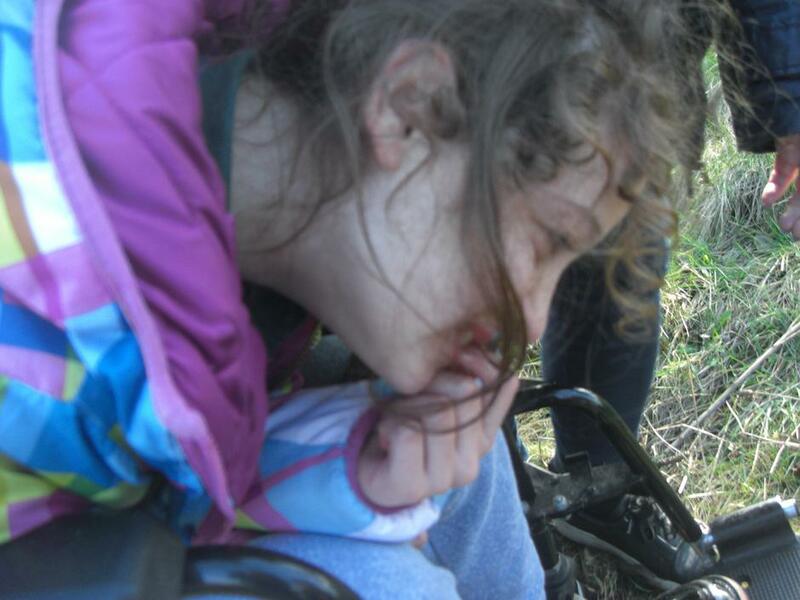 Below is a screen shot of our day! 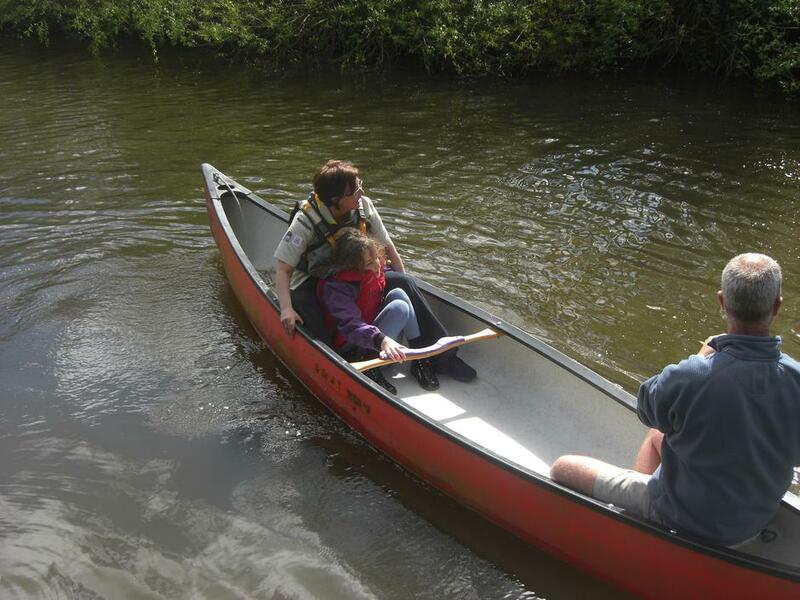 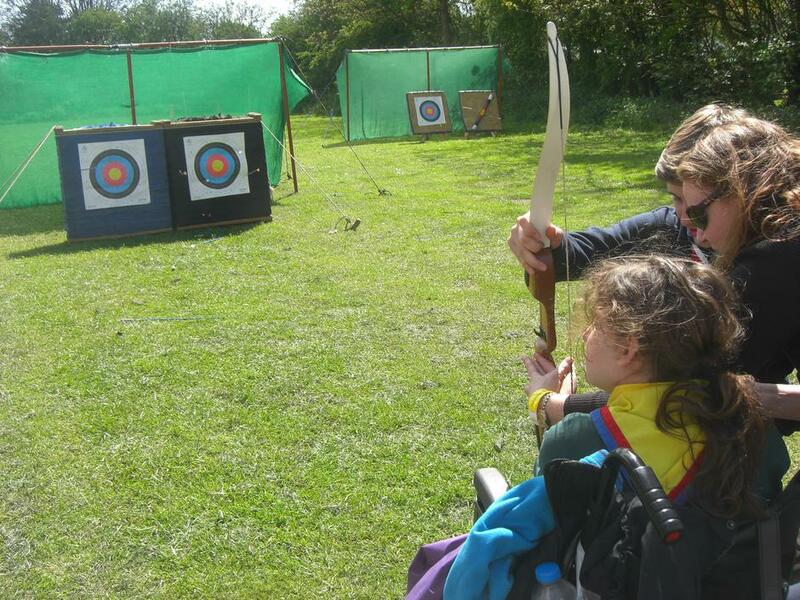 Please note Scouts returns to Rowan on Monday 16th April at 3.30pm. 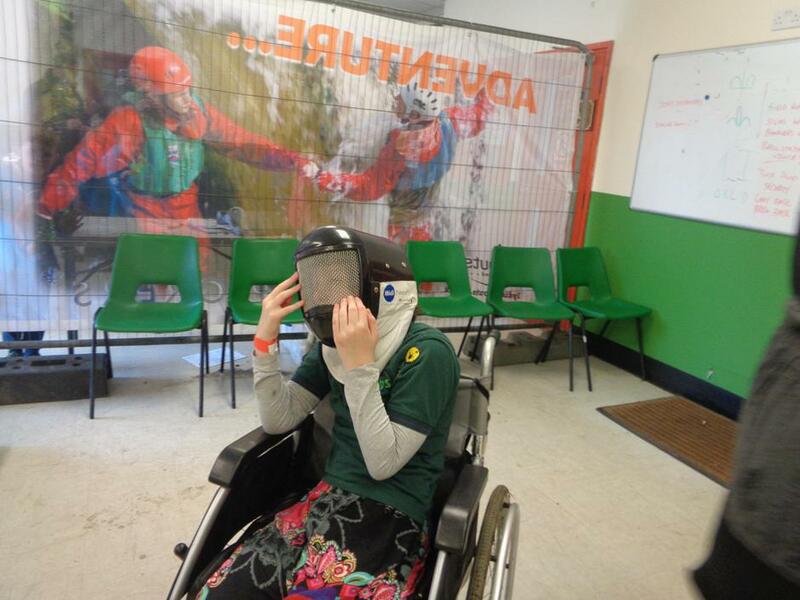 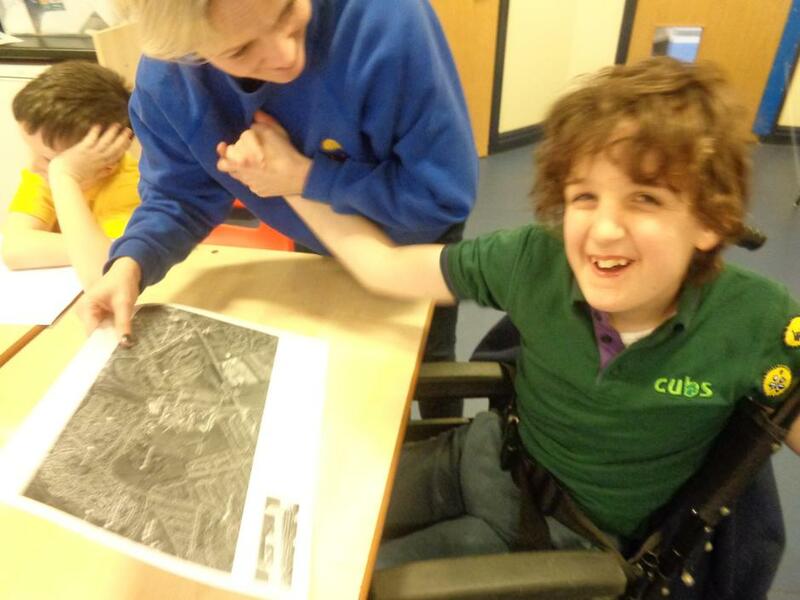 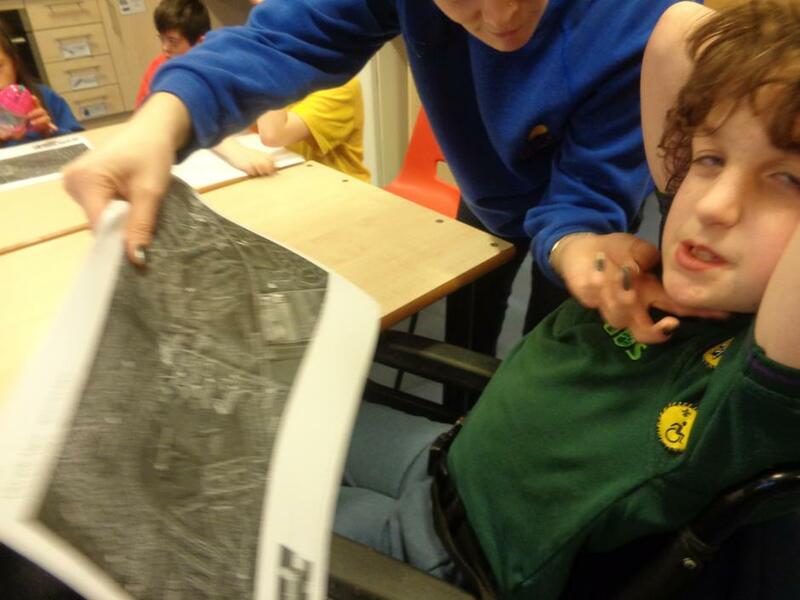 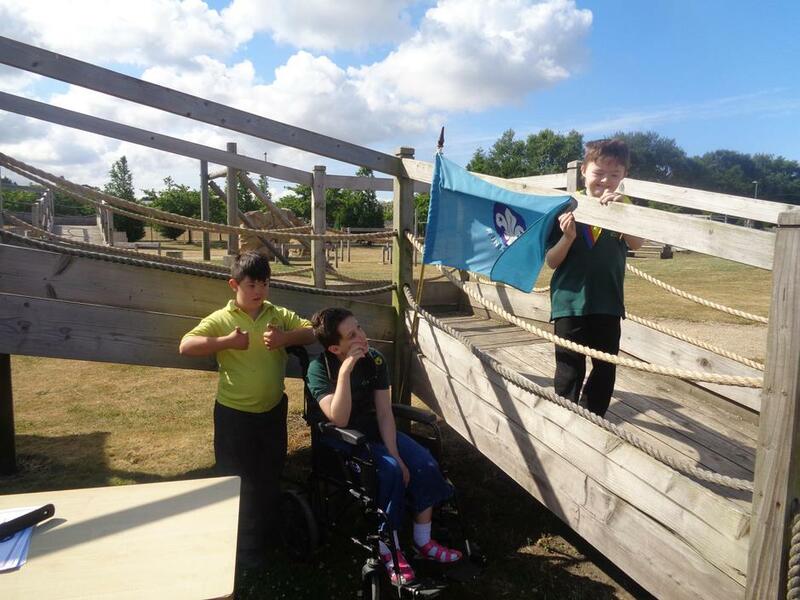 This term we are working on team building, working together and facing a personal challenge, all this and badges too! 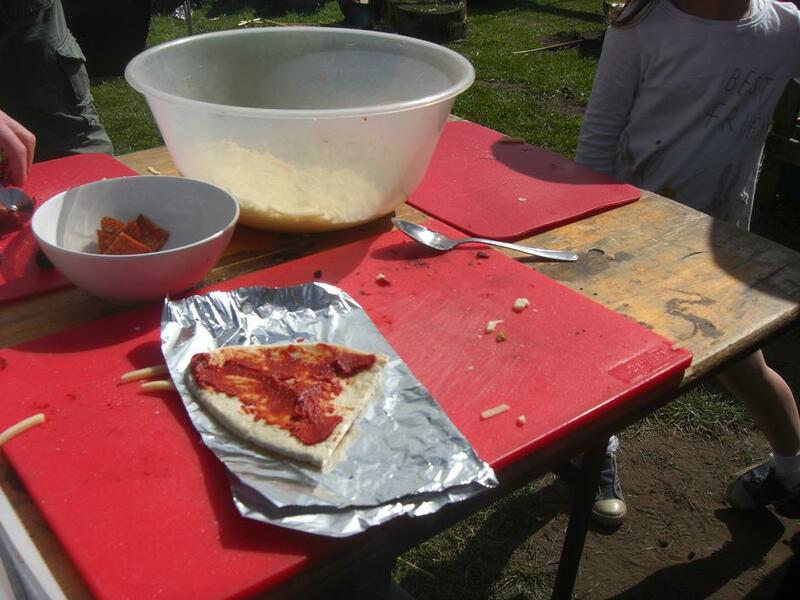 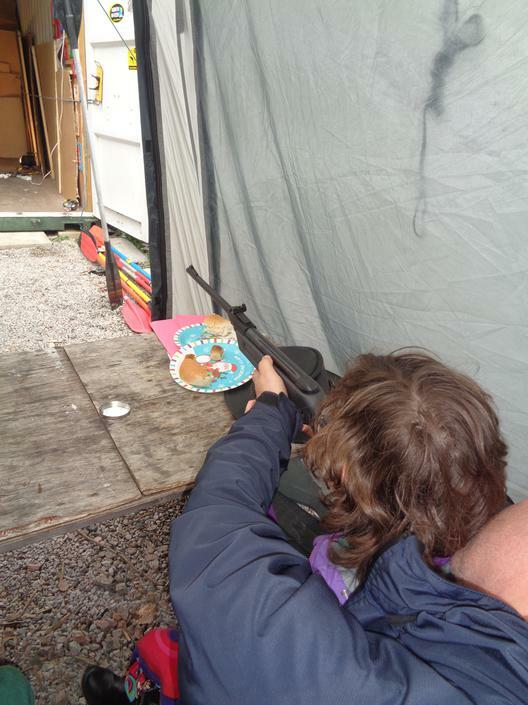 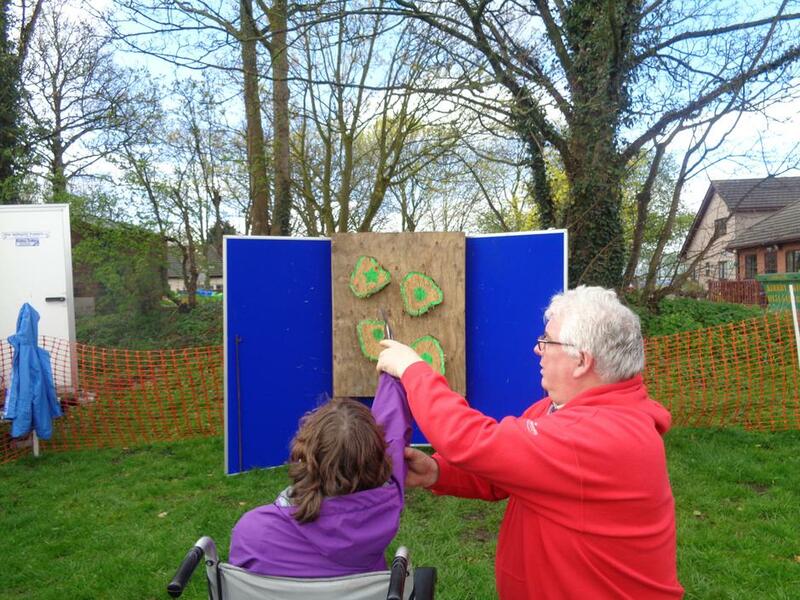 Watch out for the St George's Day leaflet for the Sunday 29th April, fun activity Day in Lydiate, shooting, fire cooking, canoeing, archery and much much more and all for only £10.00 per child! 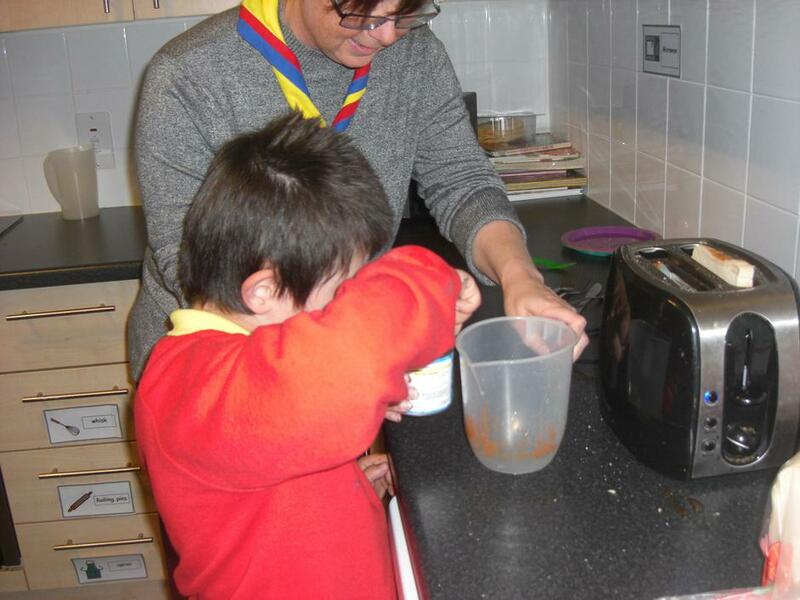 Thank you to everyone who purchased a Raffle ticket for the Scout Raffle - we raised £34.00 so Thank You very much! 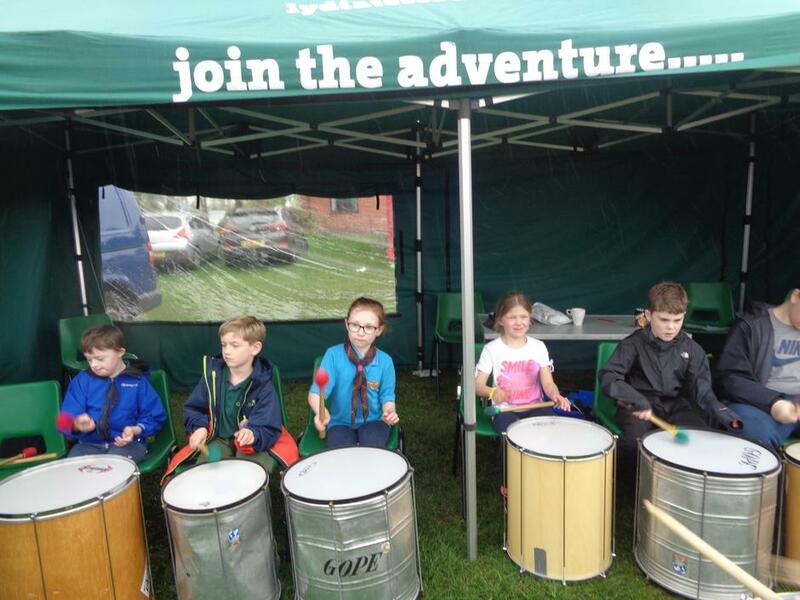 Our last Scout's will be on Monday 11th December, due to January being a short term their will be no charge for Scout's for the existing members - MERRY CHRISTMAS AND HAPPY NEW YEAR FROM CATHIE , YOUR GROUP SCOUT LEADER. 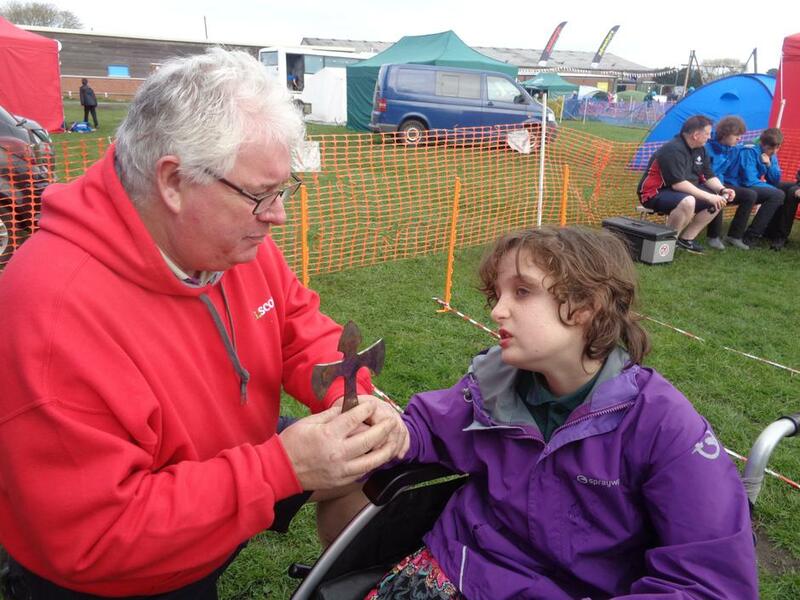 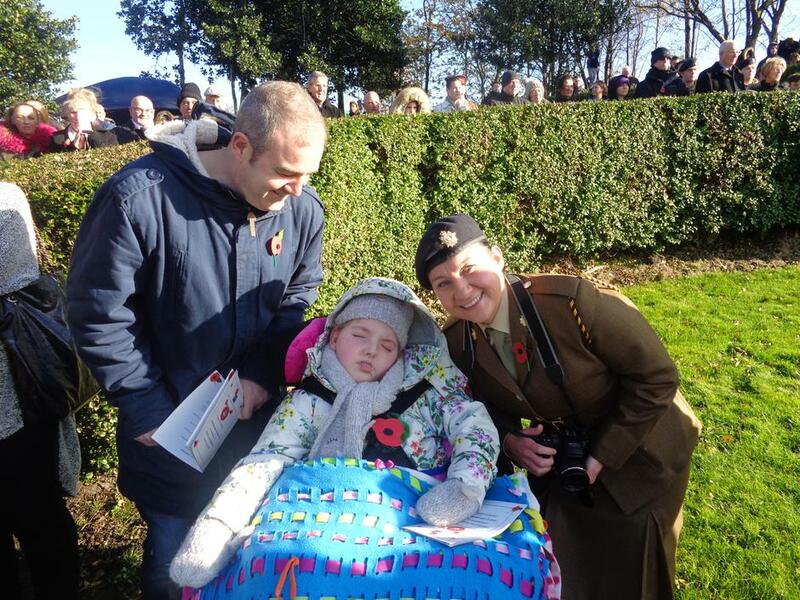 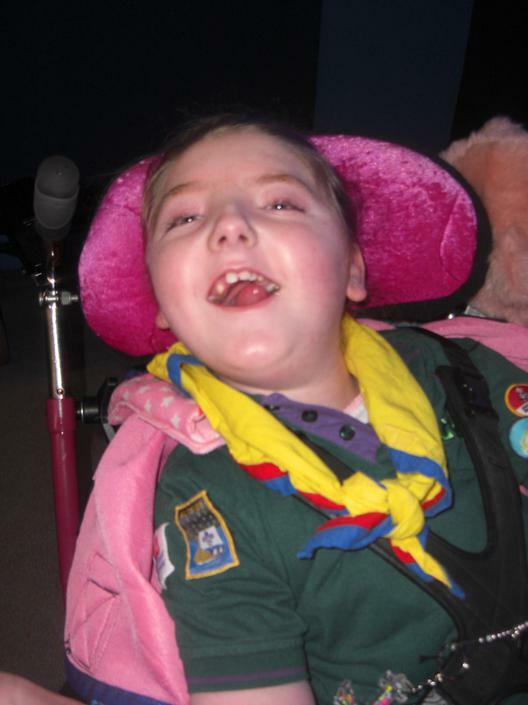 Sunday 12th November saw Lily and her dad join the Altside District Scouts for the annual Remembrance Parade. 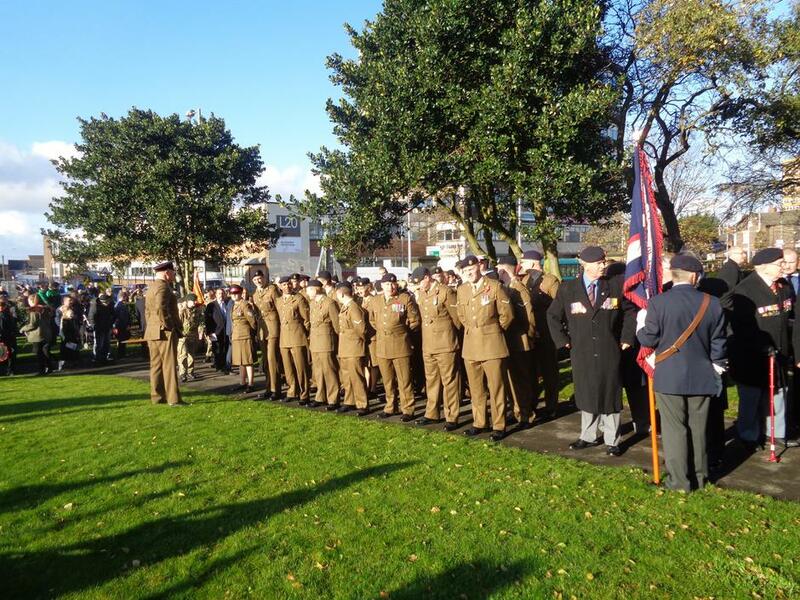 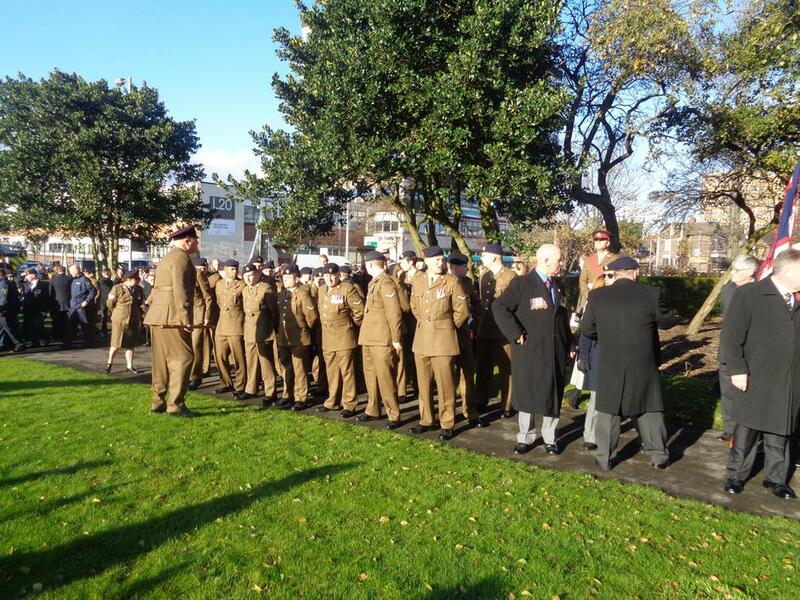 We met at Trinity Road Bootle and joined with the marching parade up to King's Park. 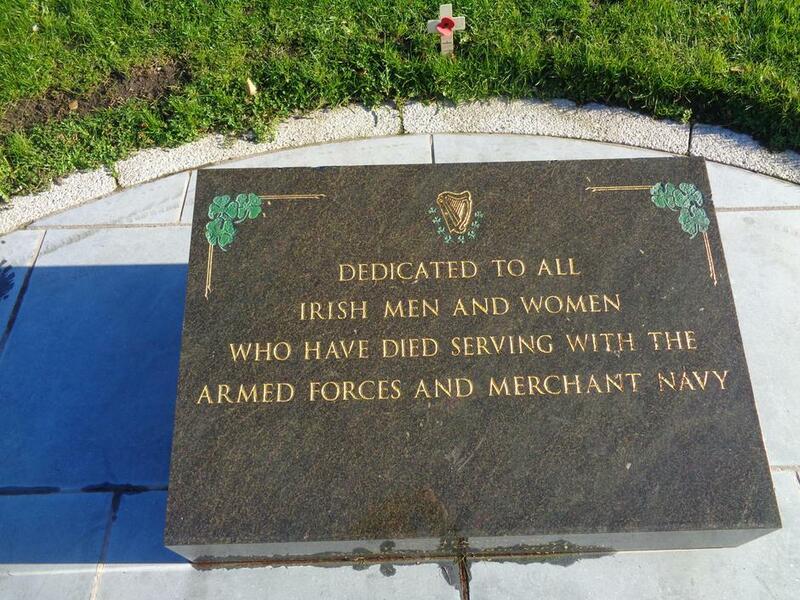 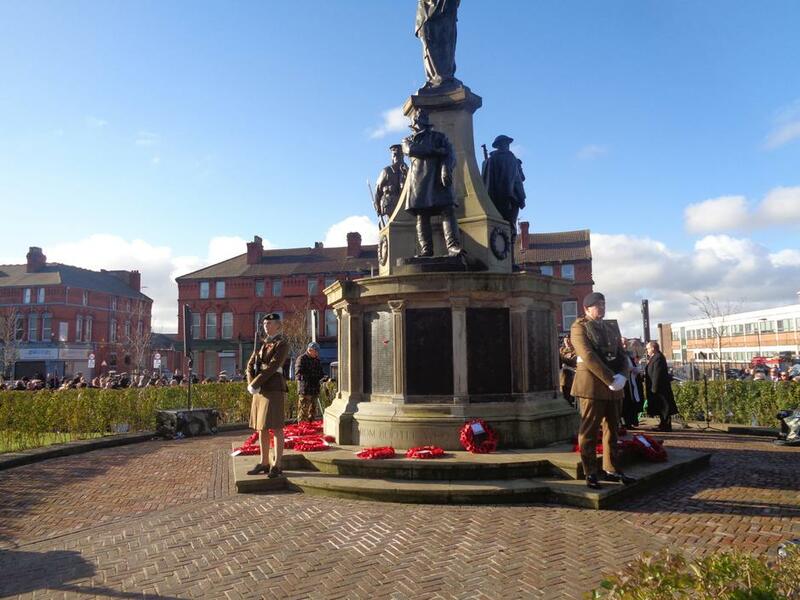 We listened to the service and the Last Post in silence. 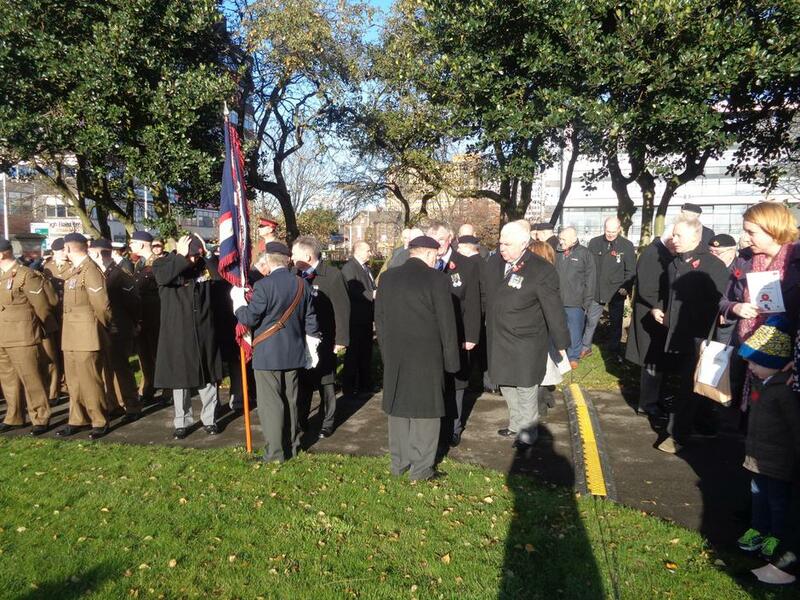 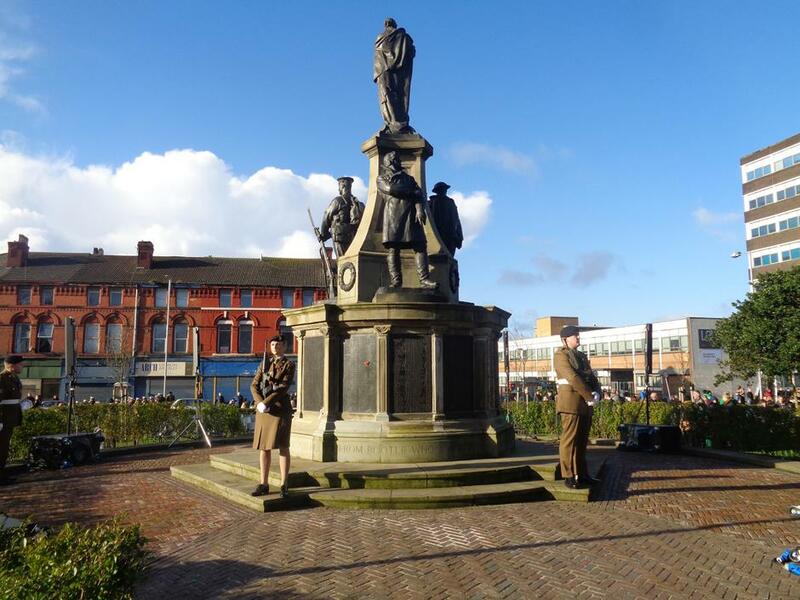 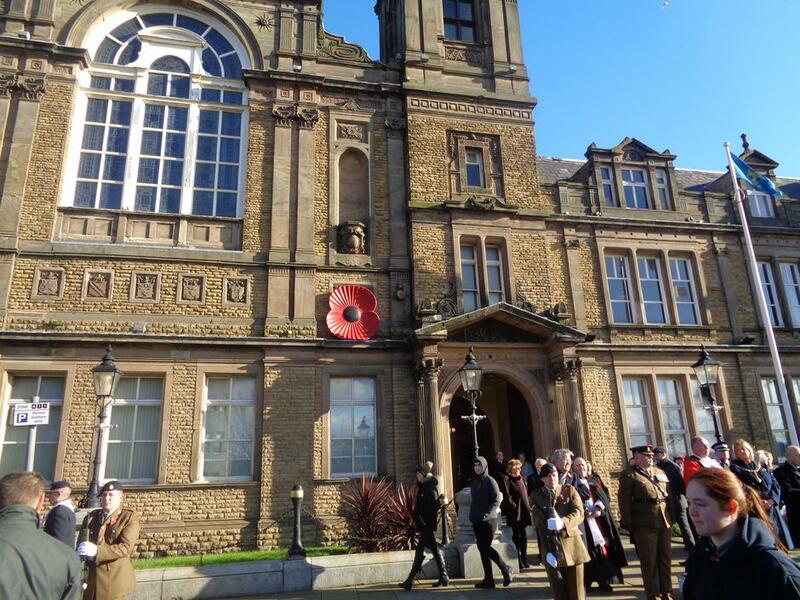 Once prayer's were finished we then marched again down to Bootle Town Hall for saluting the Mayor. 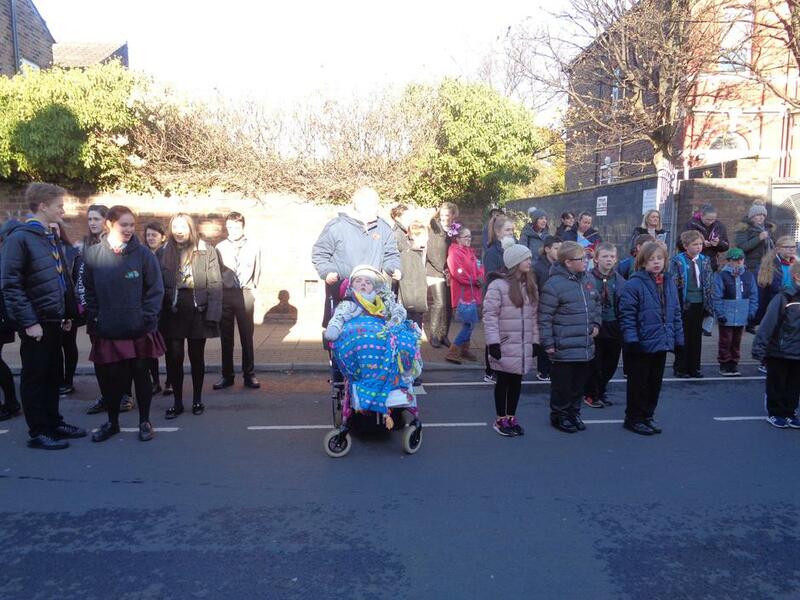 We finished our march at Trinity Road Bootle for step down, where Scouts could then either go home of go to the Town Hall for refreshments. 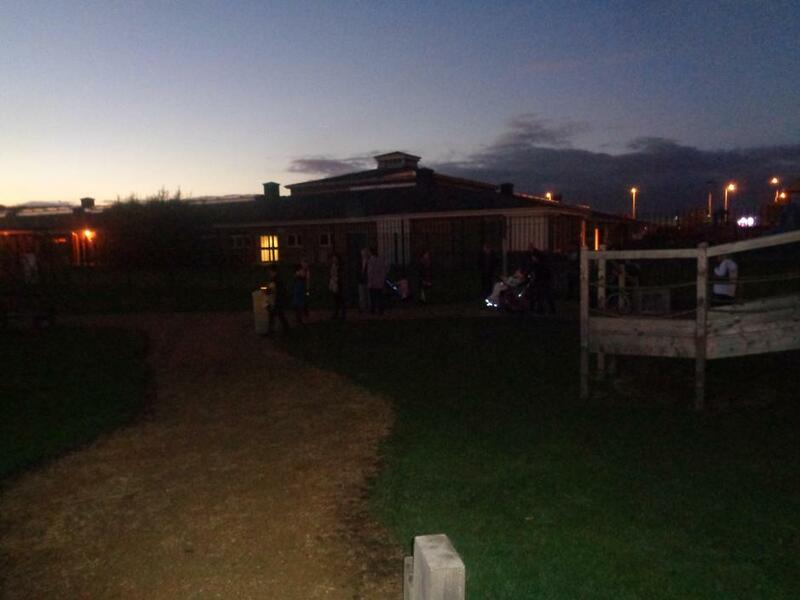 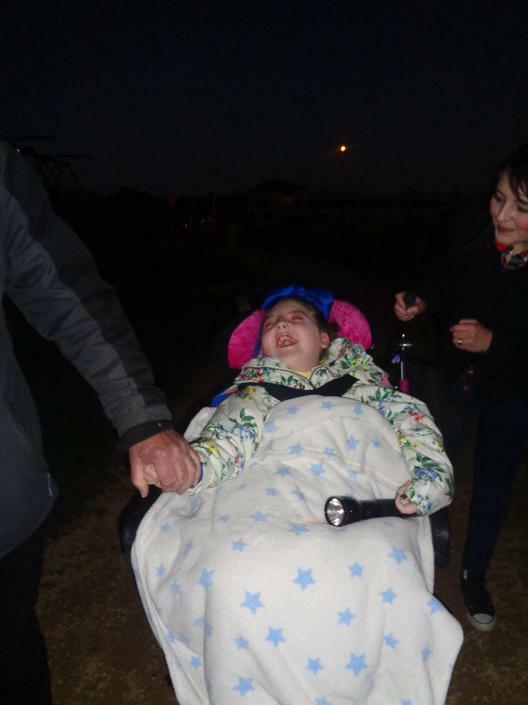 We have recently held our first Moon Light Walk and this was well attended - thank you. 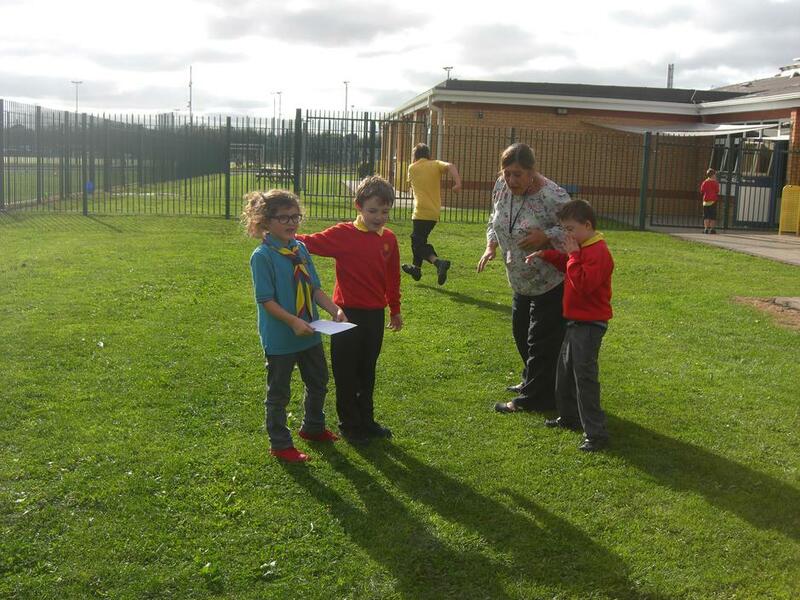 Scouts took part as part of their work to earn their Space Badge so well done to everyone braving the cold to walk the RAP! 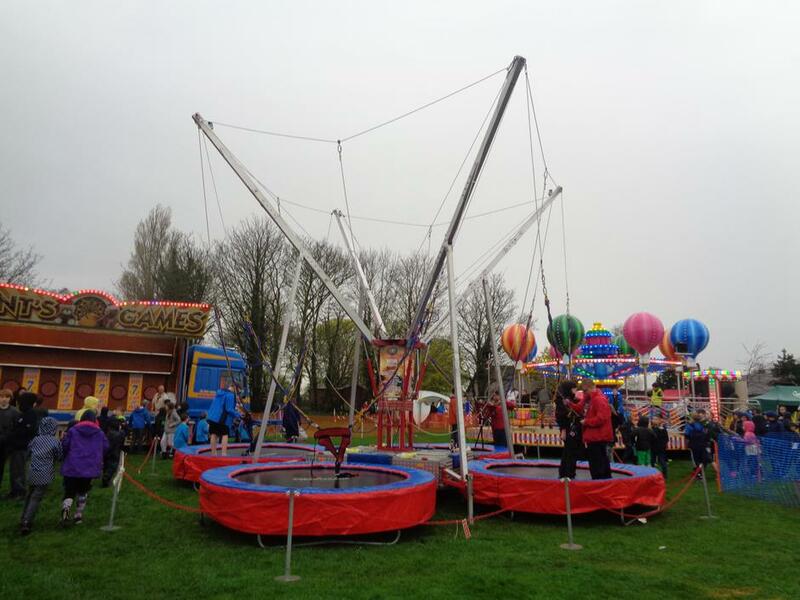 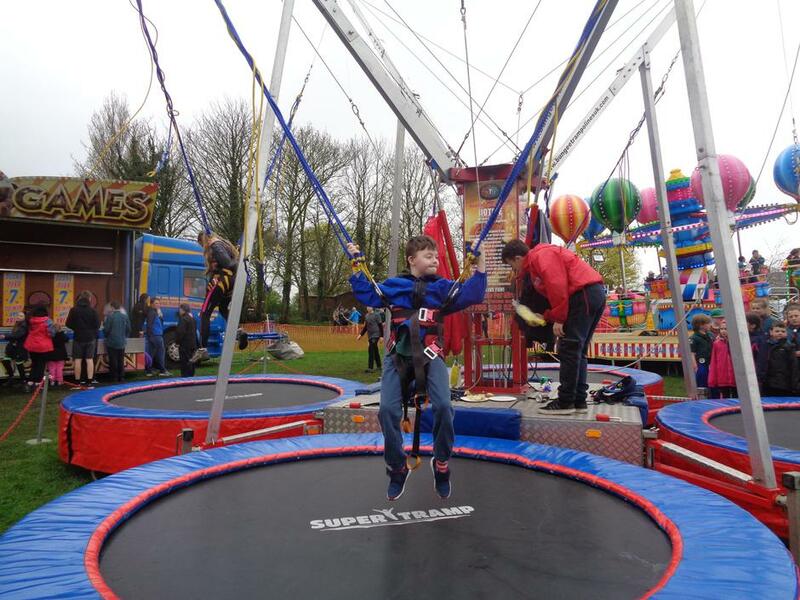 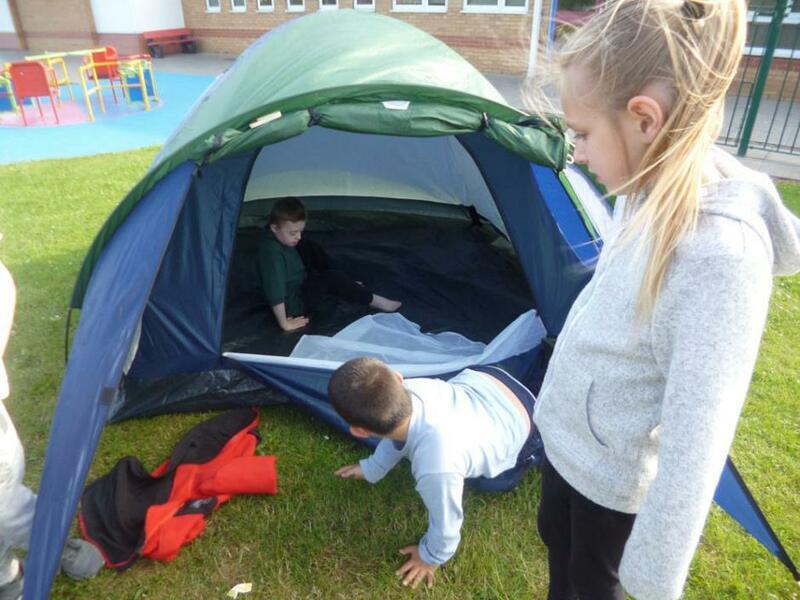 Saturday saw us hold our first Big Tent event in the school. 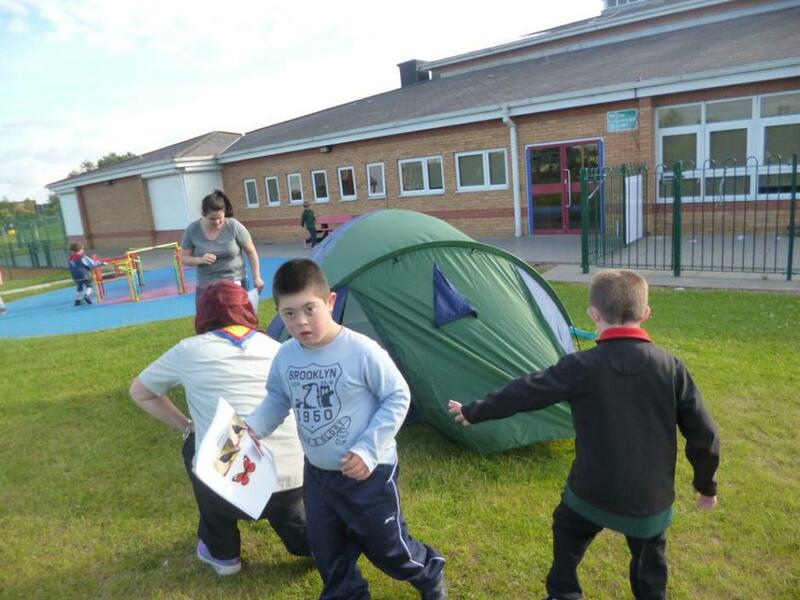 Children had the opportunity to explore the tents and outside space with their parent's. 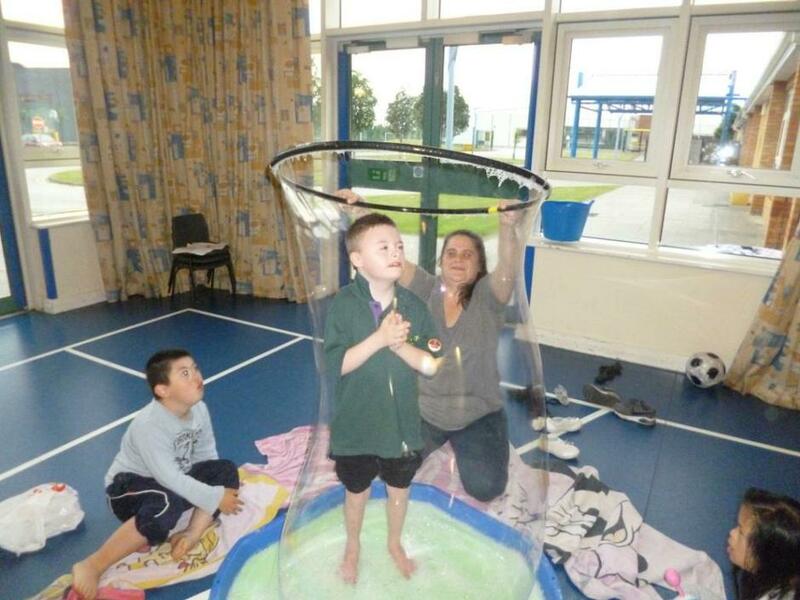 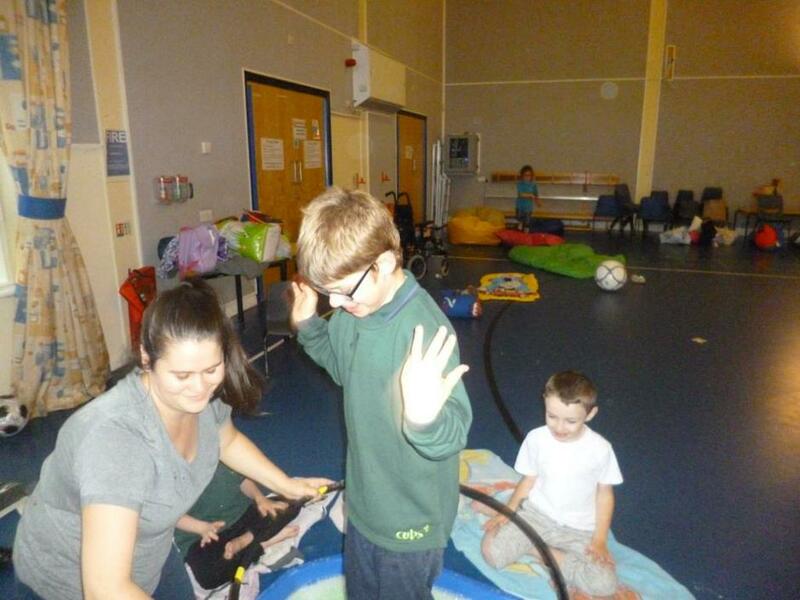 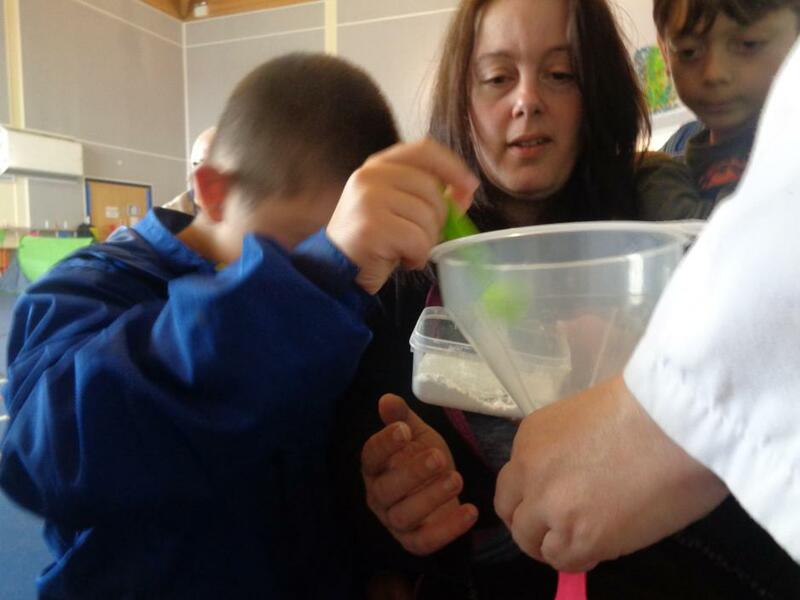 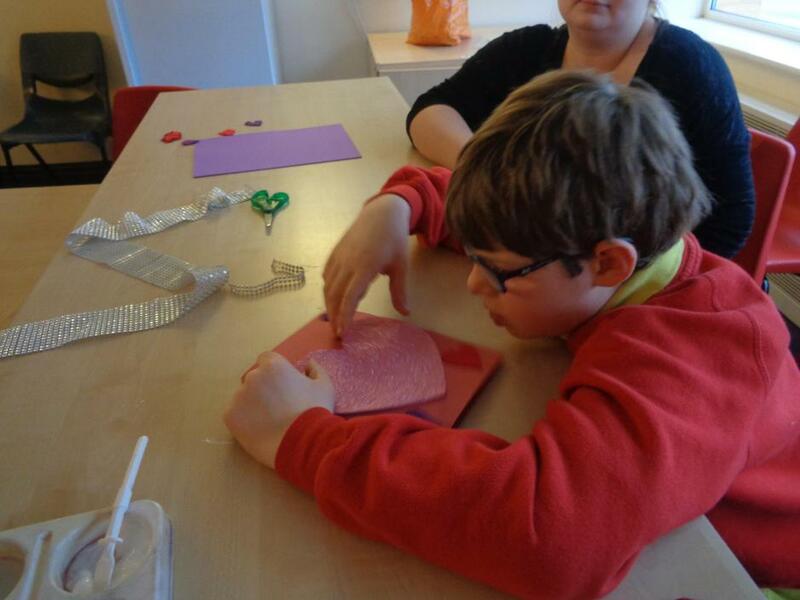 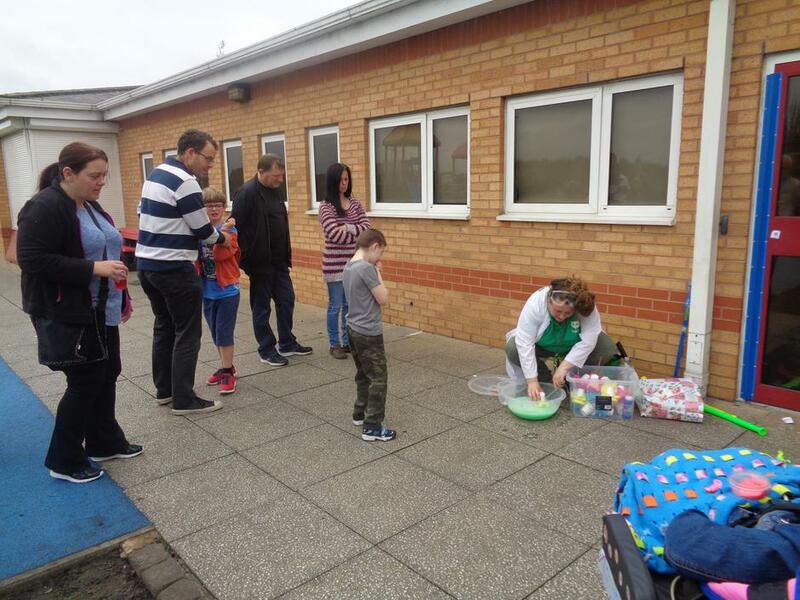 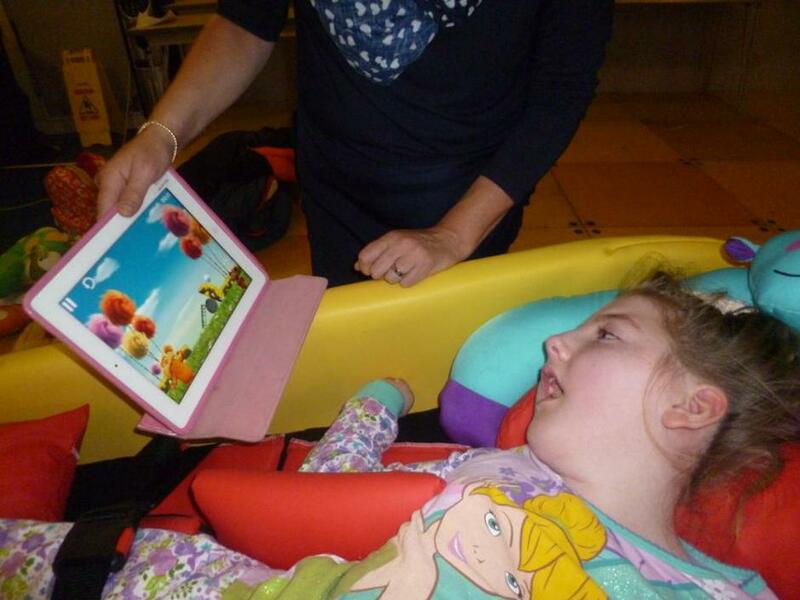 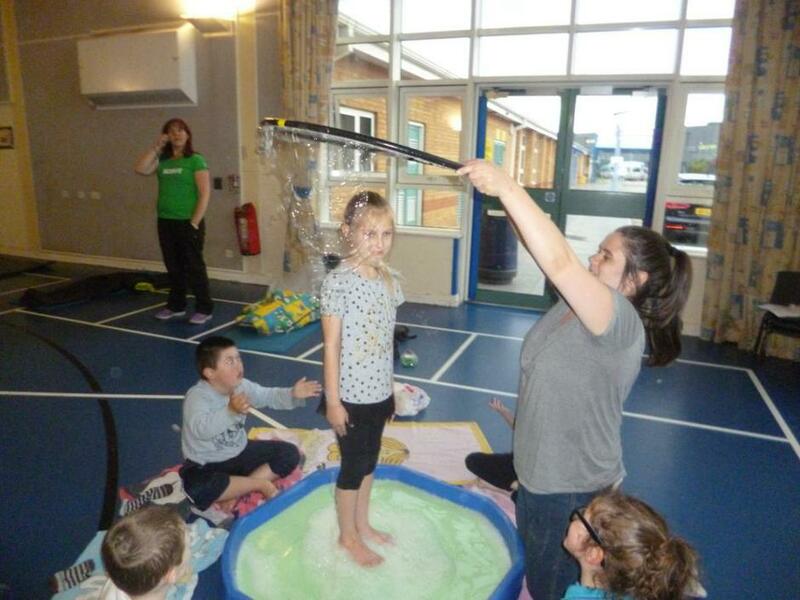 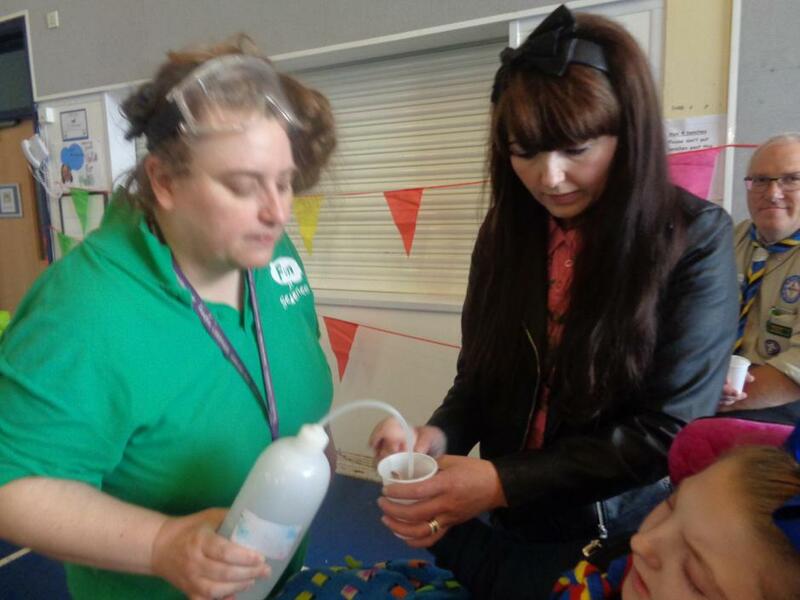 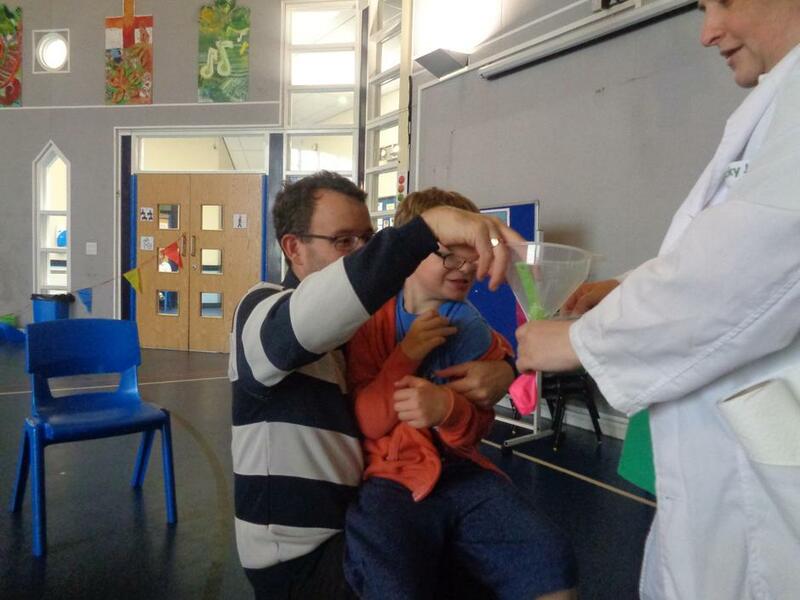 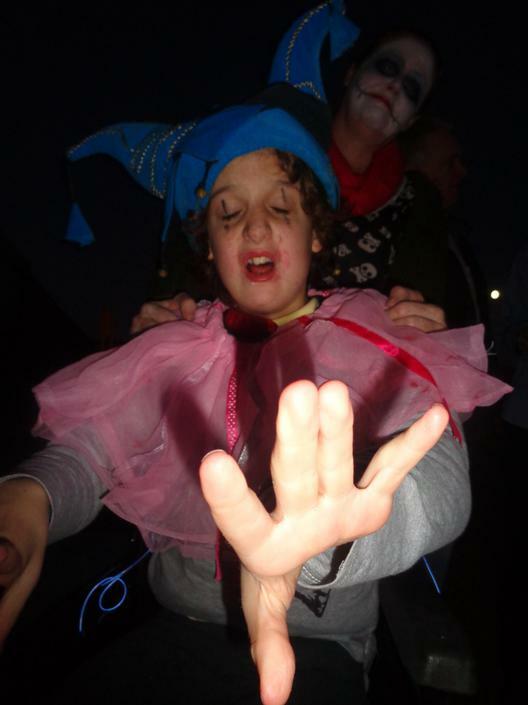 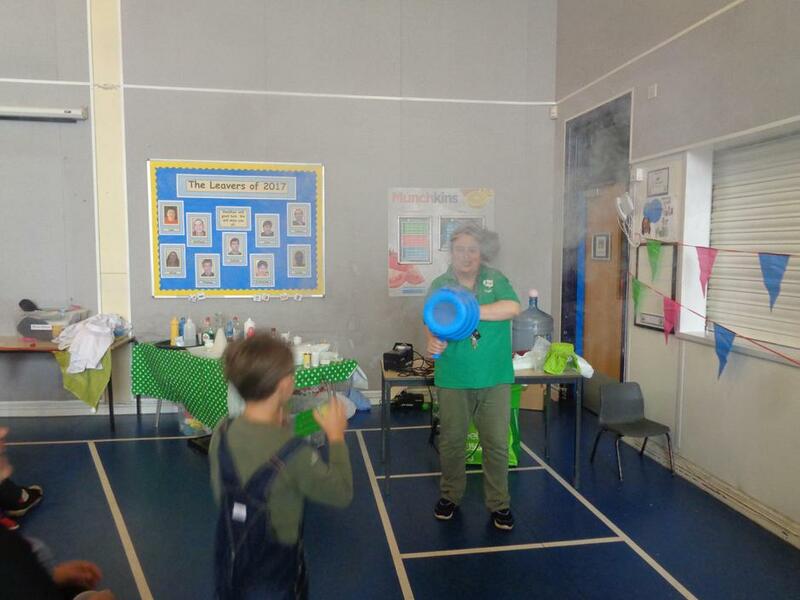 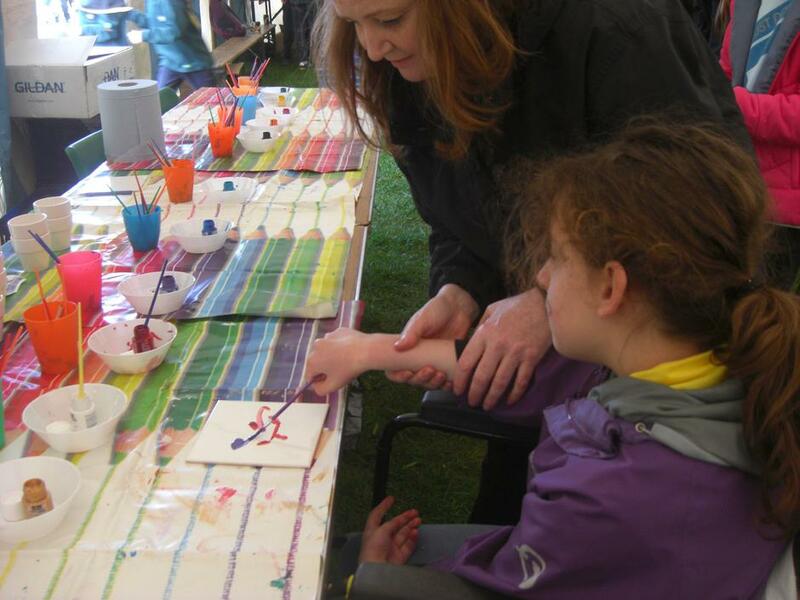 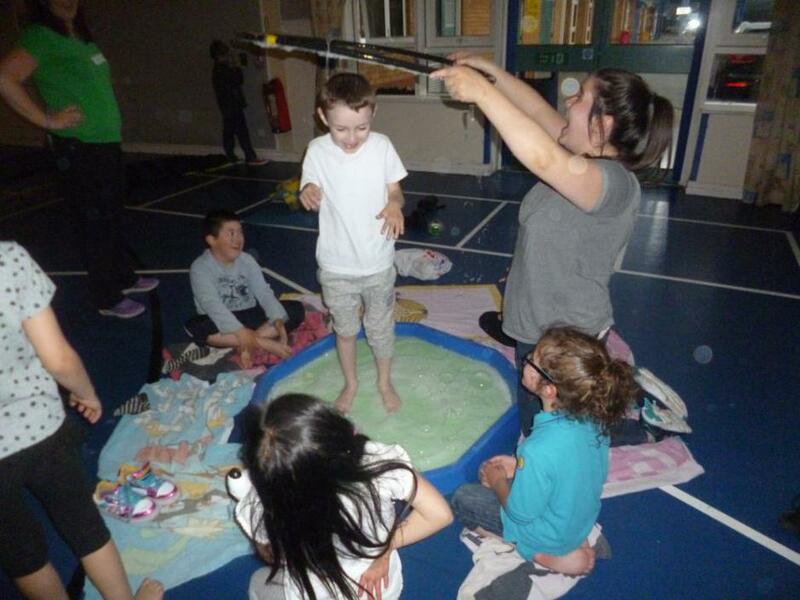 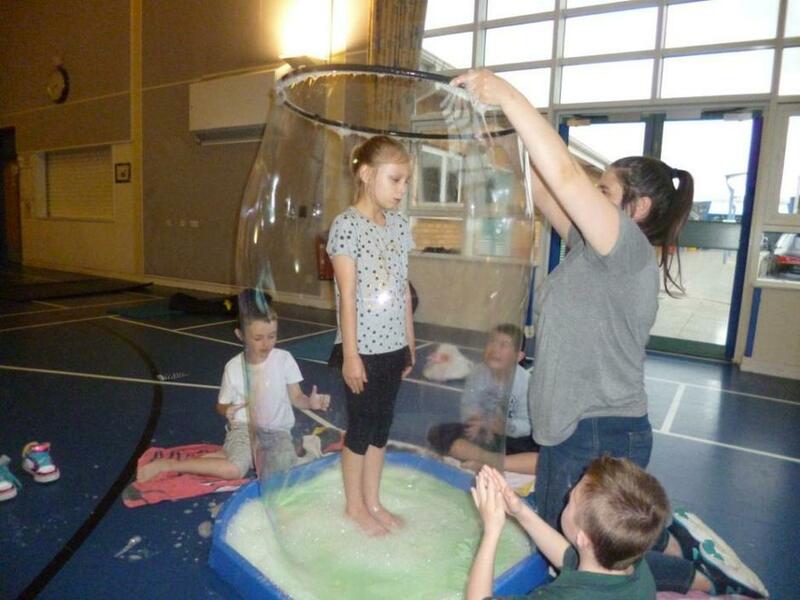 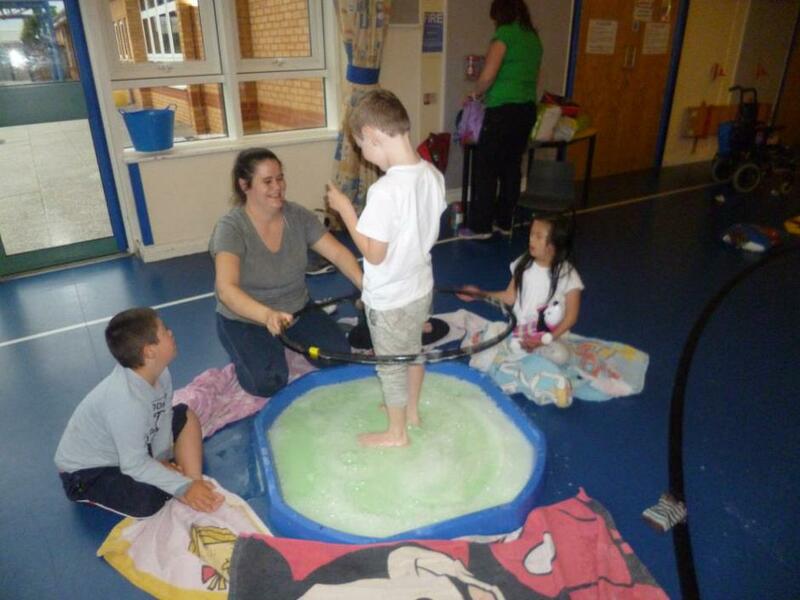 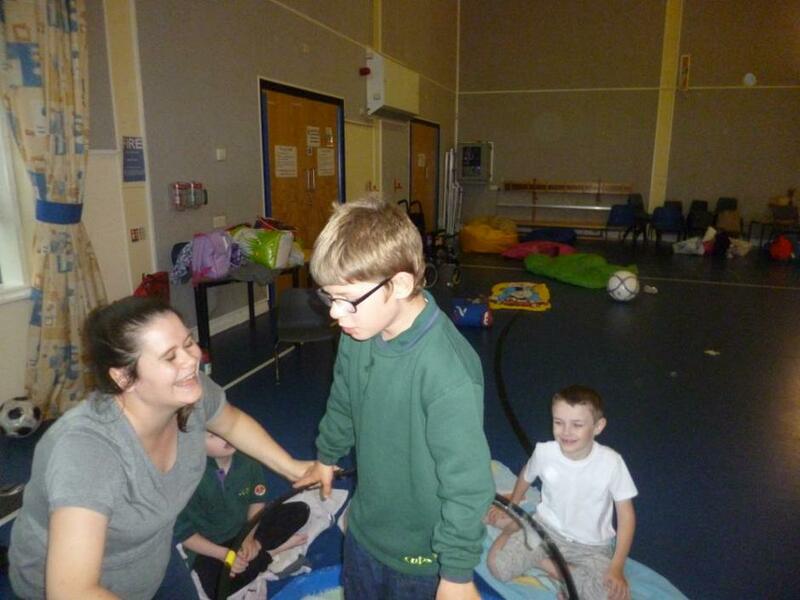 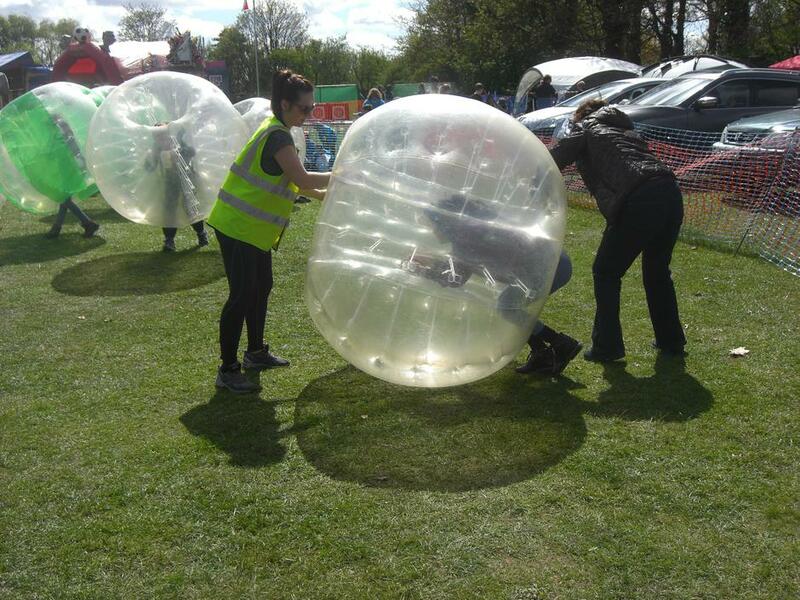 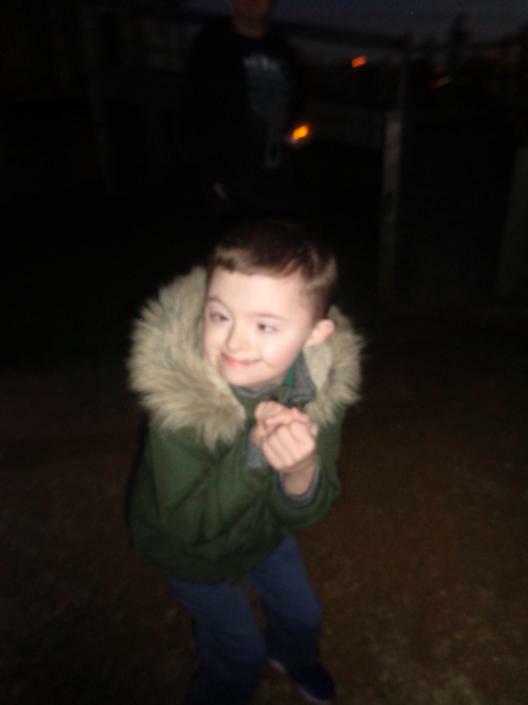 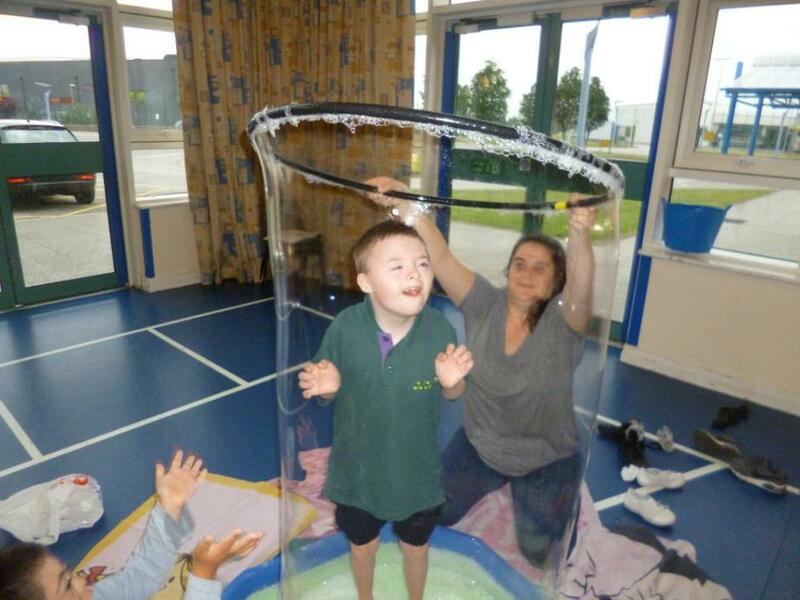 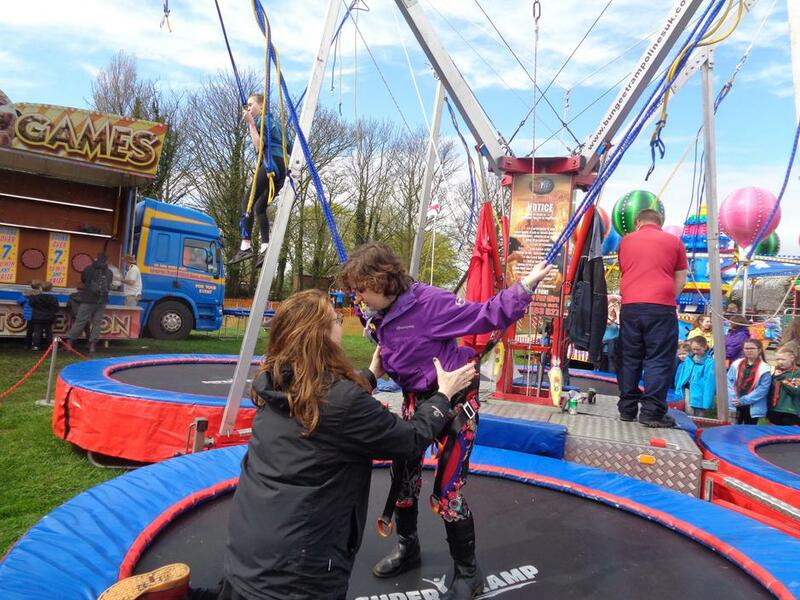 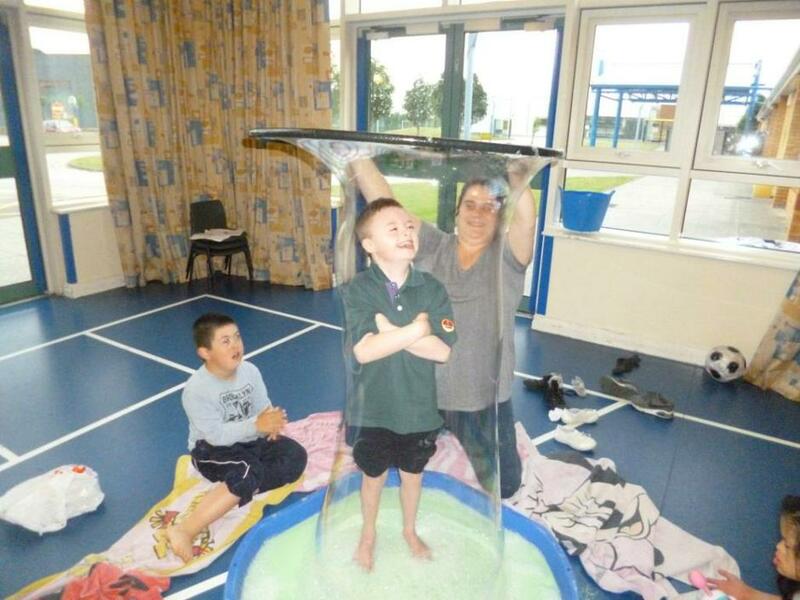 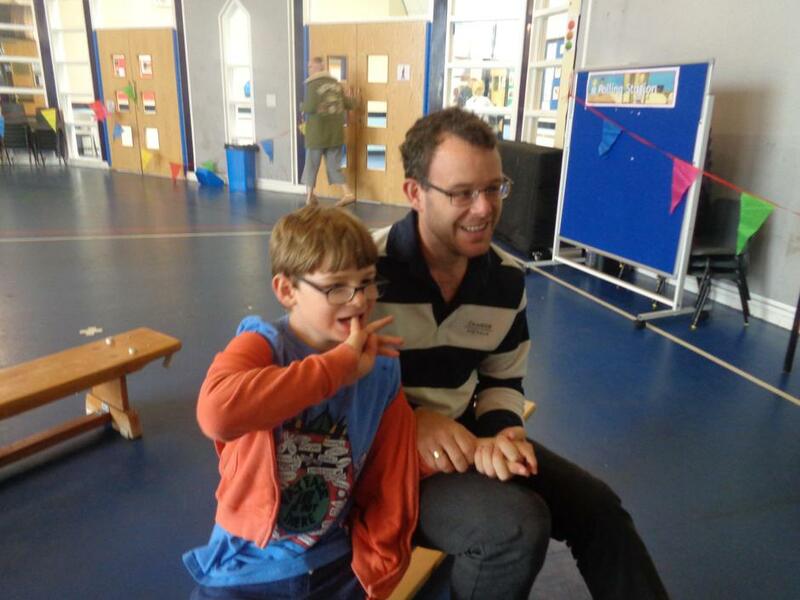 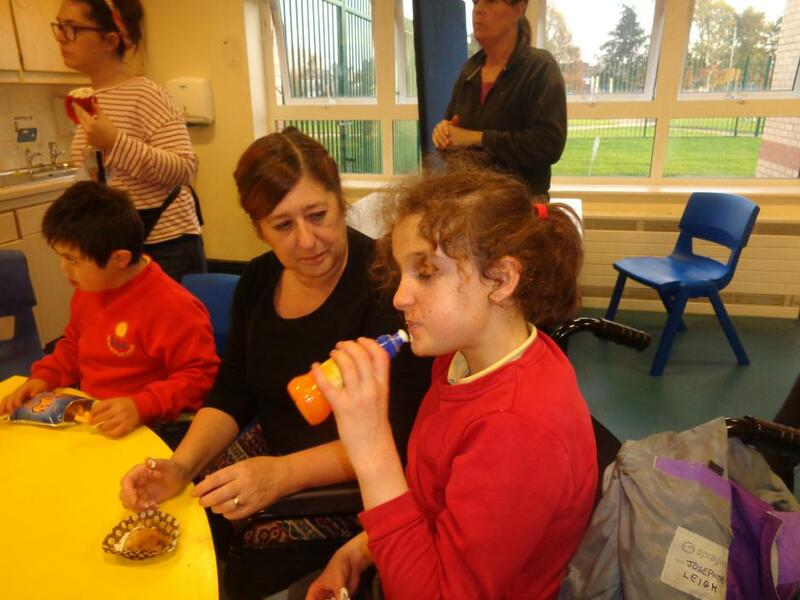 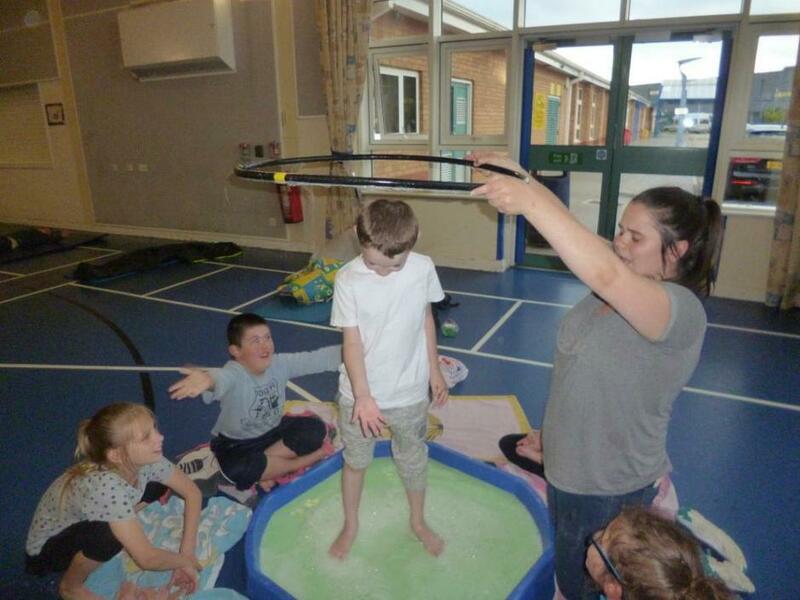 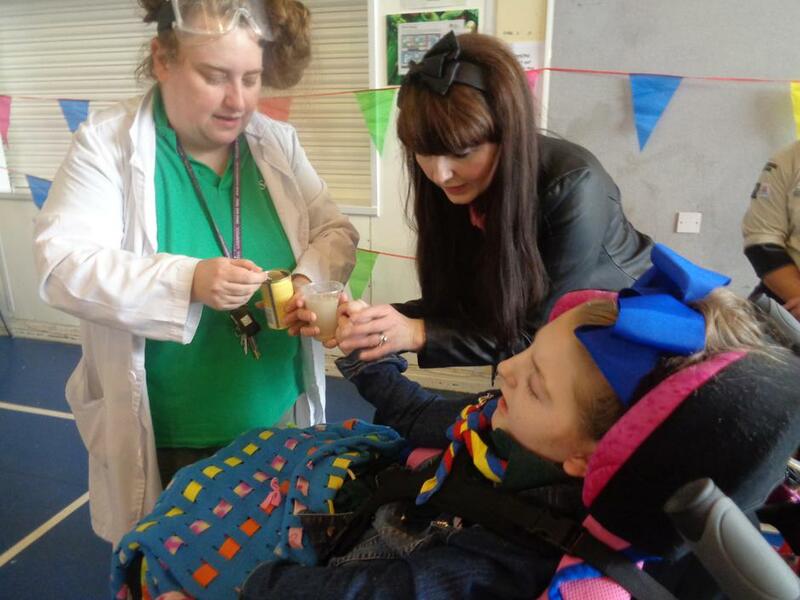 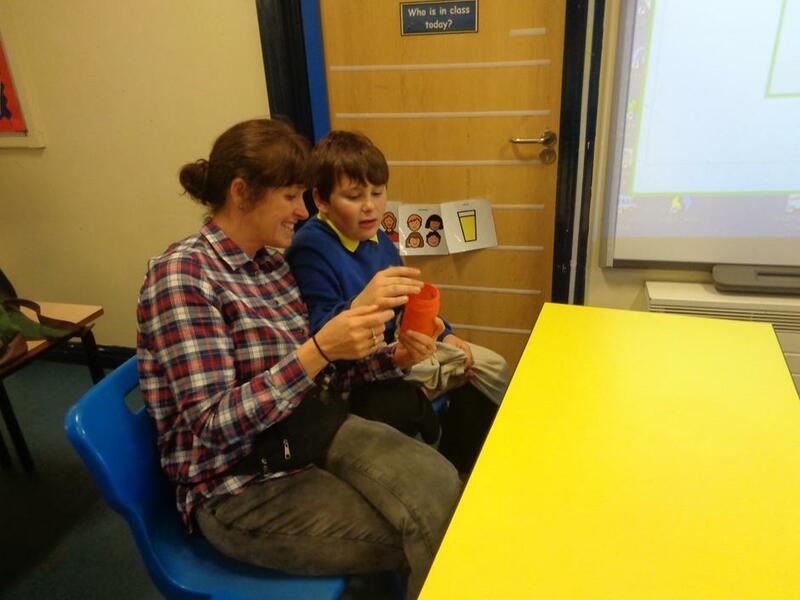 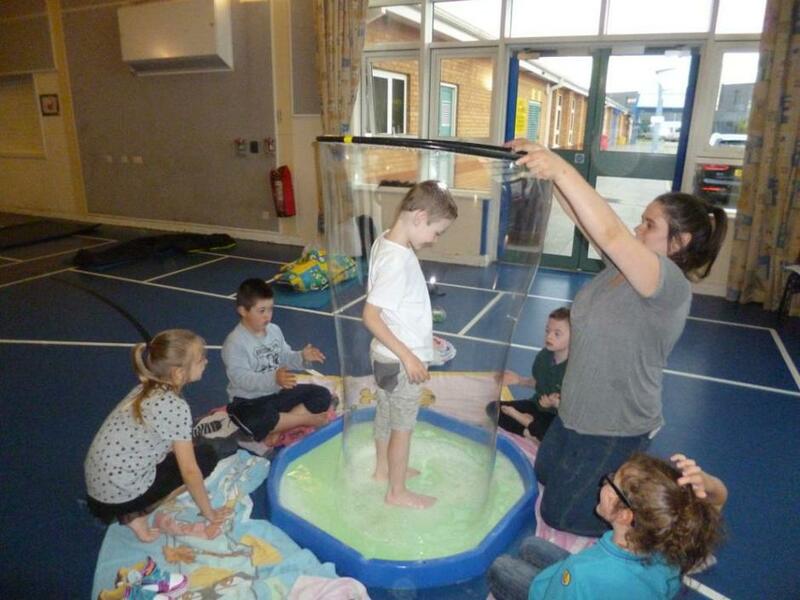 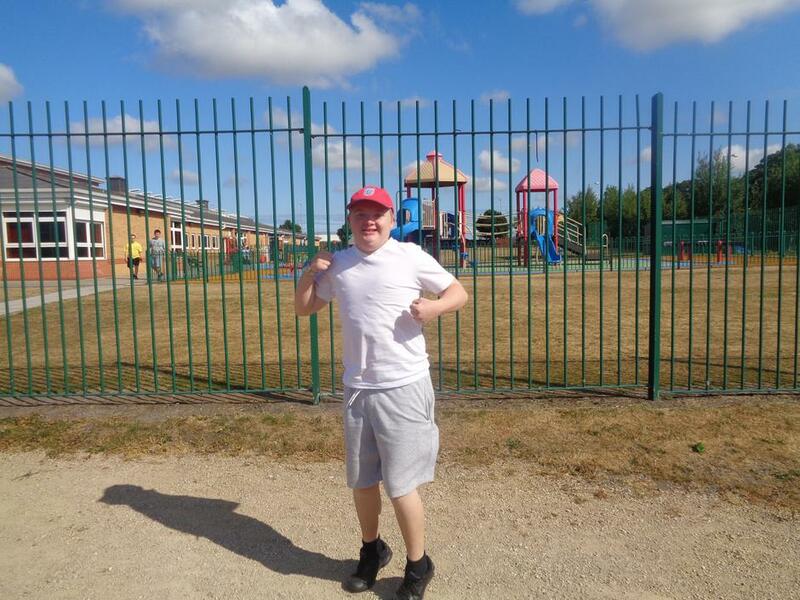 We also had a sensory entertainer come along ' Wacky Jacky' to show us some sensory experiments and that went down really well with children and parent's. 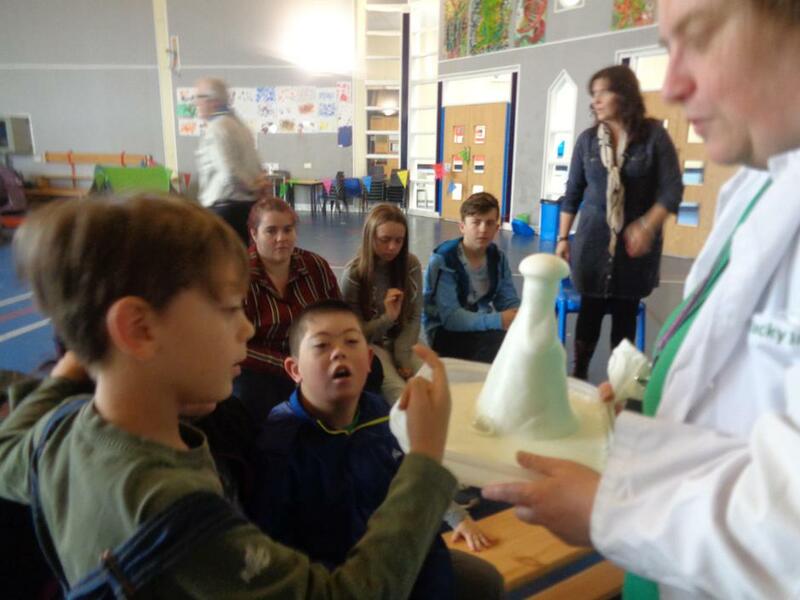 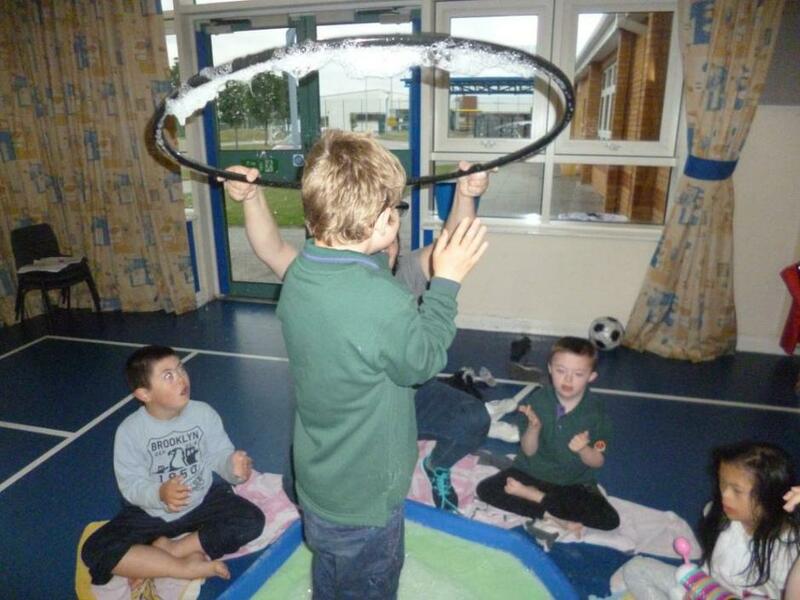 We were shown how to make gloop, smoke hoops, massive bubbles and lots of different noises and smells! 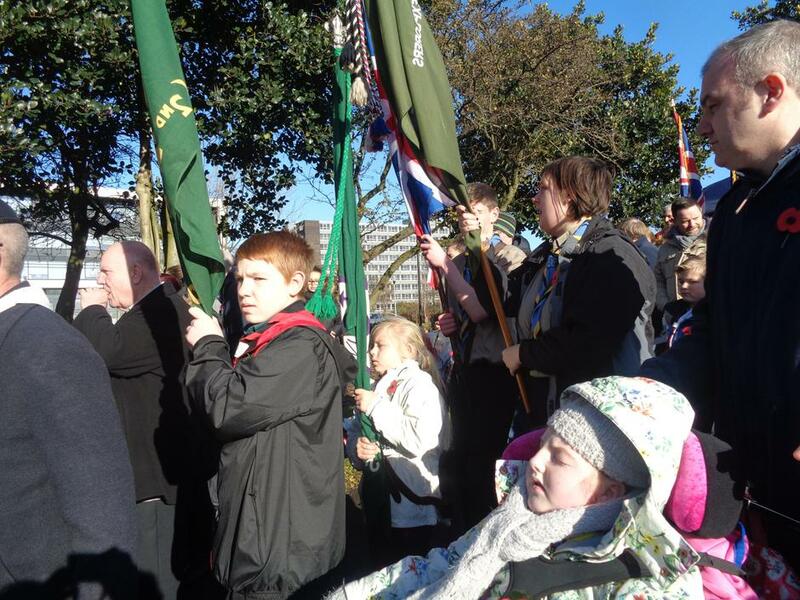 Welcome back to our new year of Scouting. 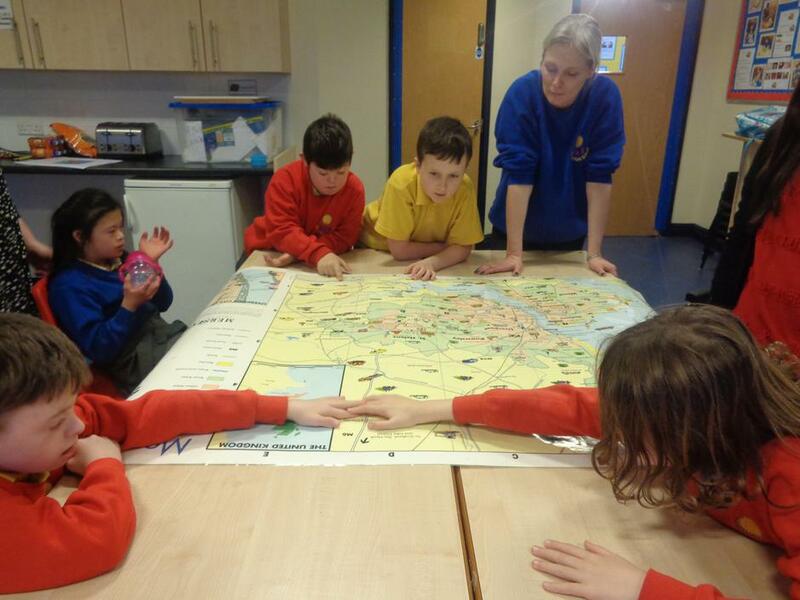 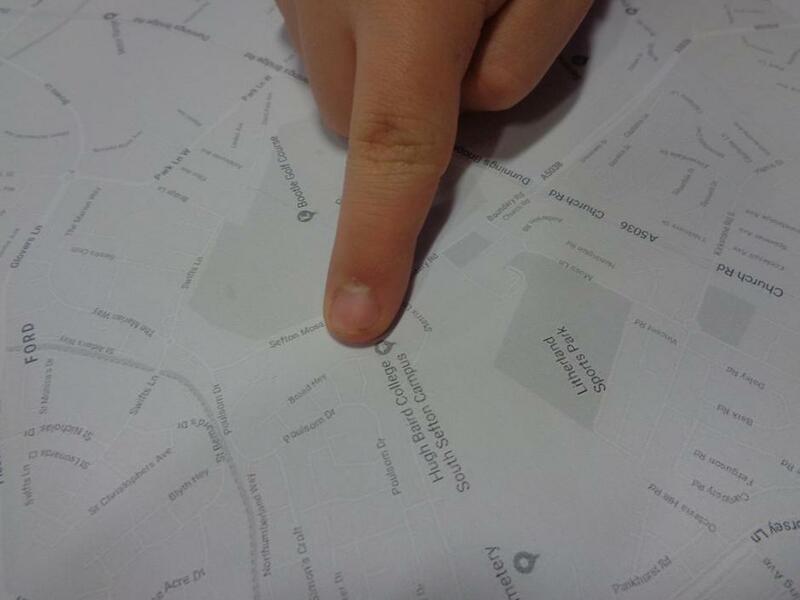 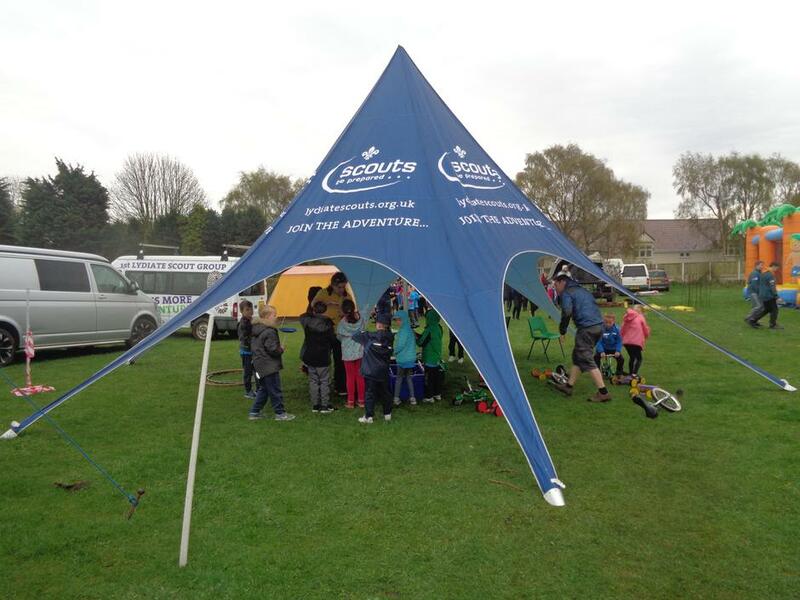 Below please find the Scout Planner for the forth coming activities that our Beavers, Cubs and Scouts will be taking part in over the coming academic year. 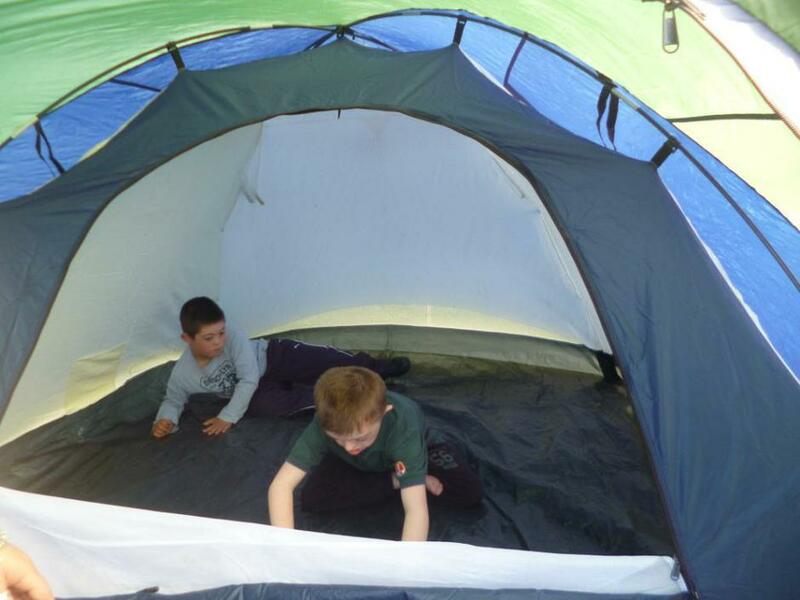 If you fancy coming along to see what Scouting is about please come along to the Big Tent event on Saturday 23 September 10.00am - 12.30pm, cost £2.00 per child and siblings are welcome, we will also have a children's entertainer to help with the fun!! 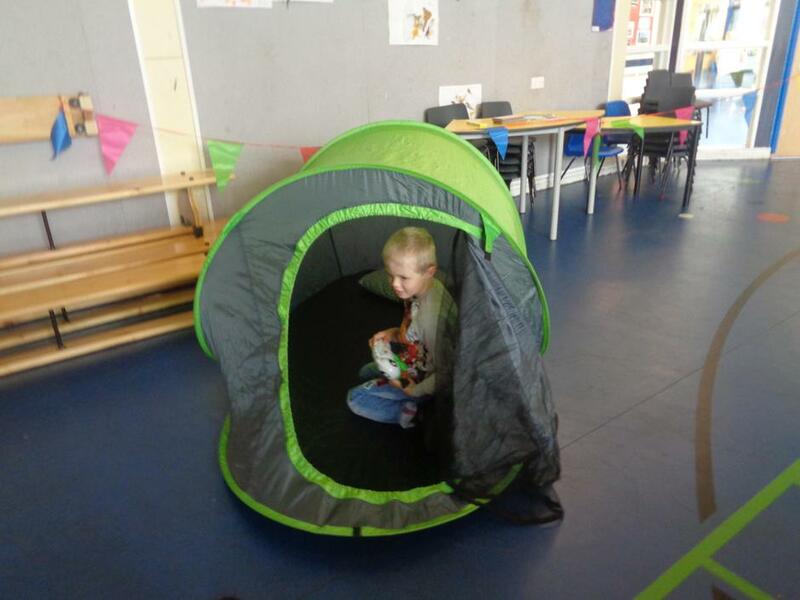 Please mark enevelope 'SCOUTS BIG TENT EVENT'. 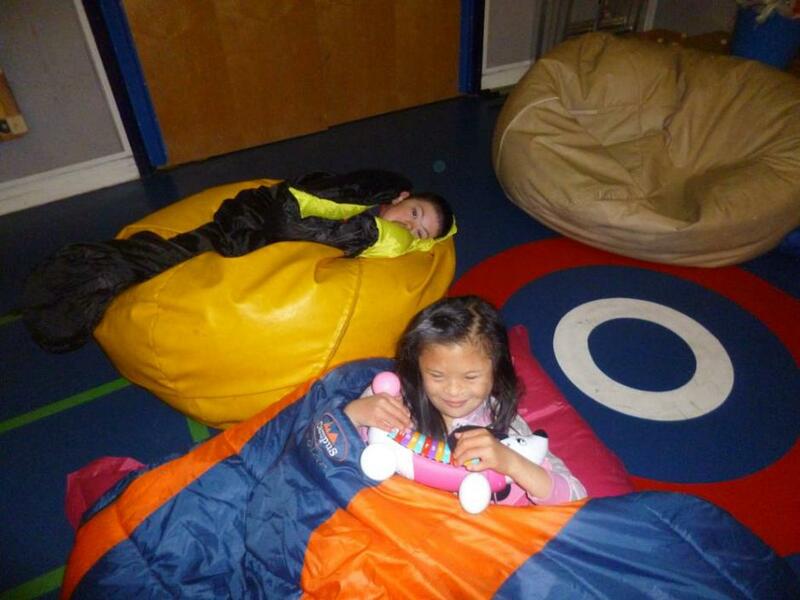 Josephine had so much fun she was tired out for bed at the end of the day! 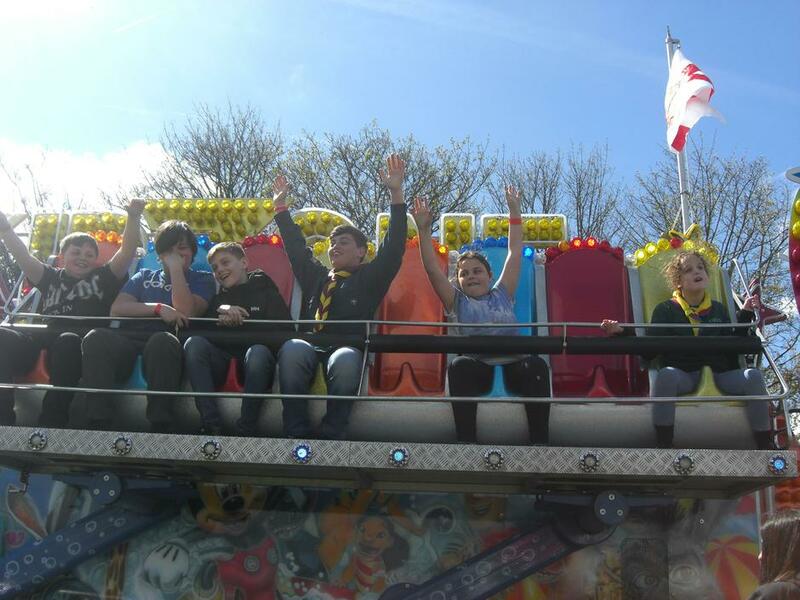 Please all think about coming along next year!! 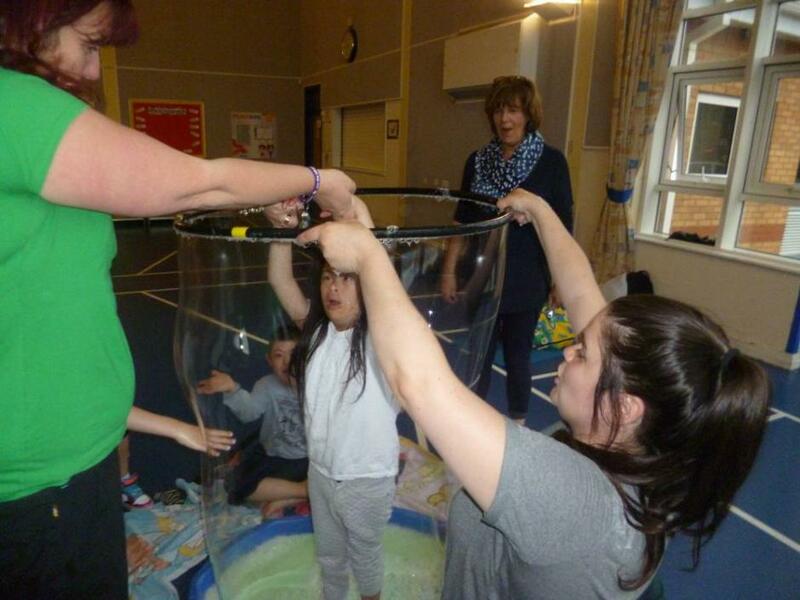 * supported by trained staff. 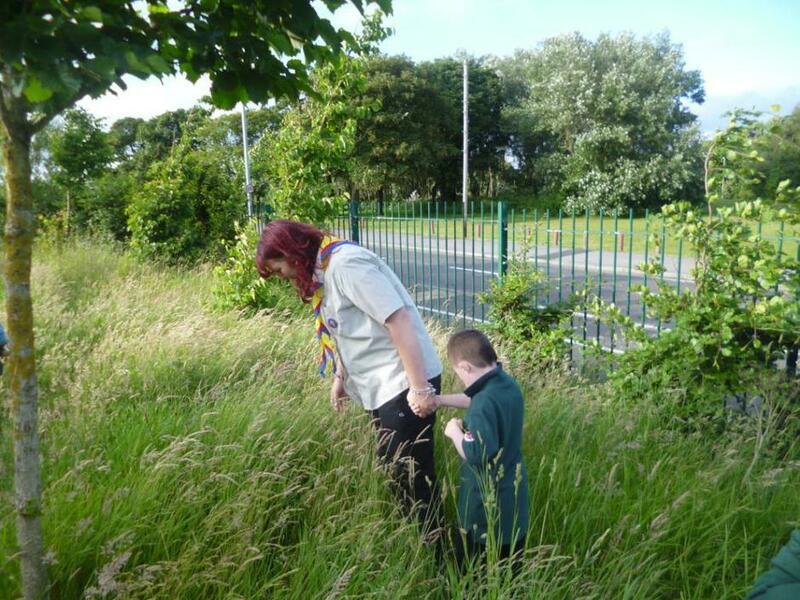 Welcome to 1st Litherland Rowan Scout Group. 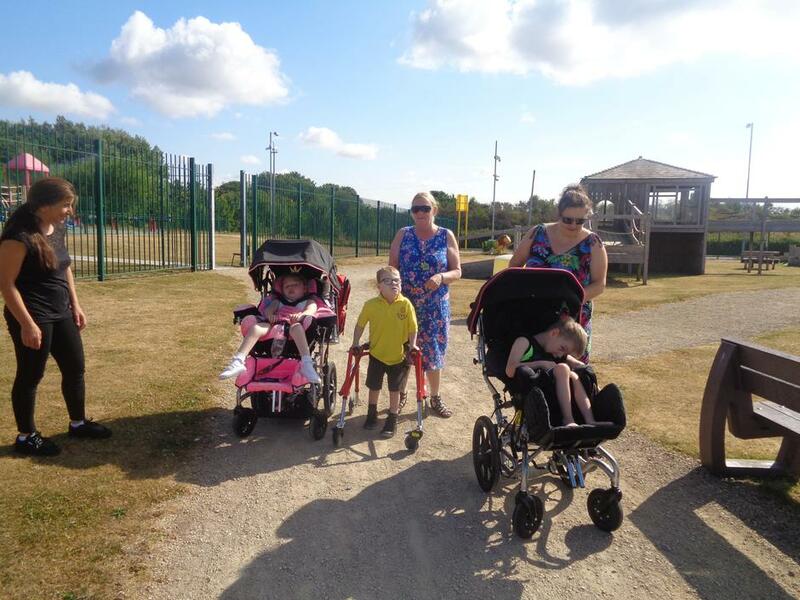 We began our group back in April 2015 and have been growing since. 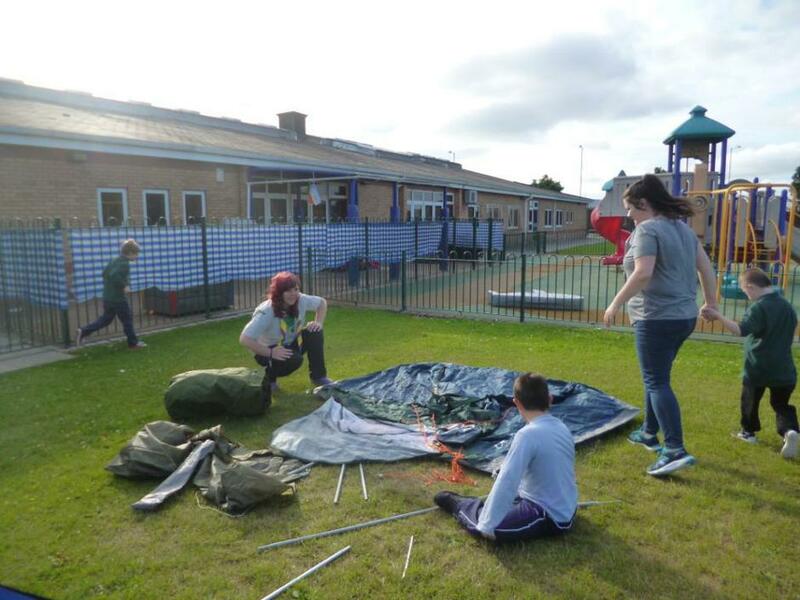 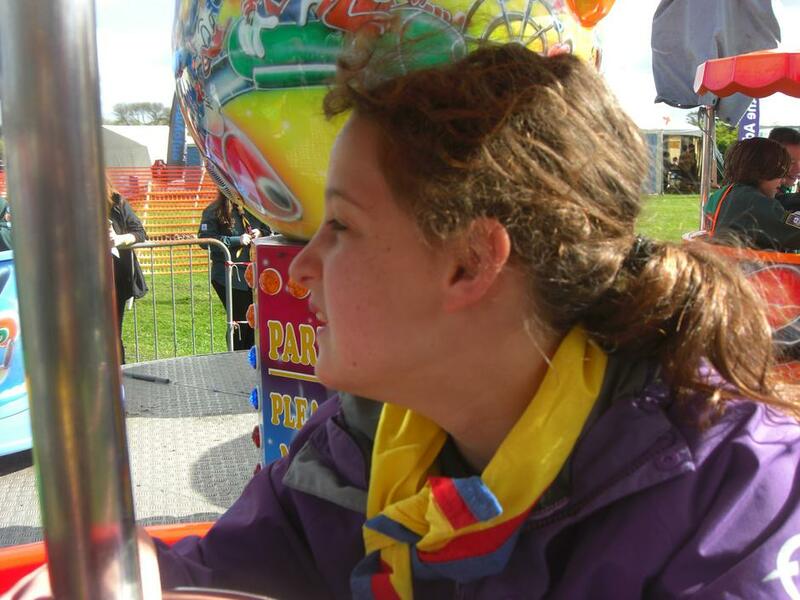 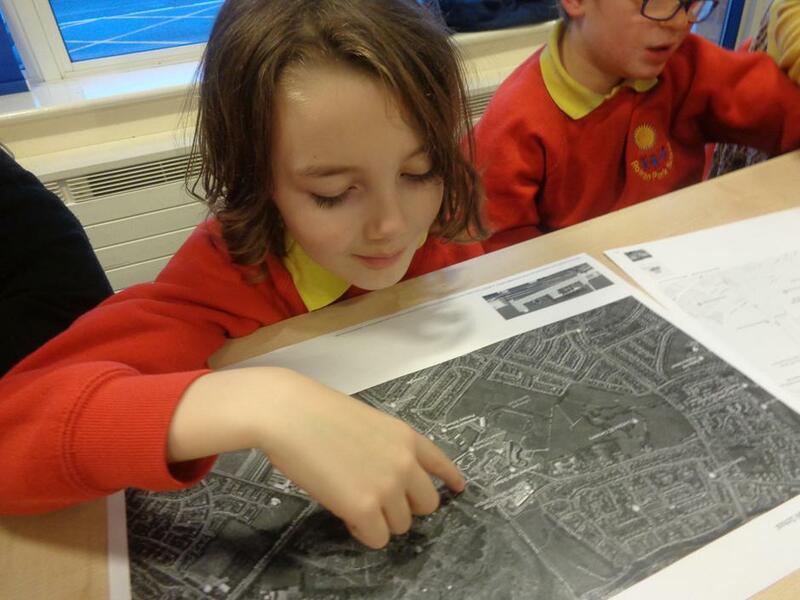 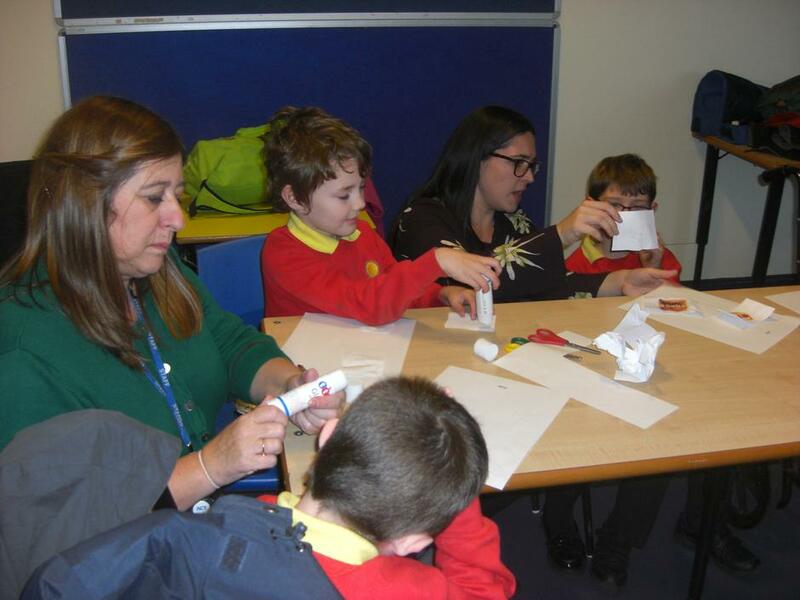 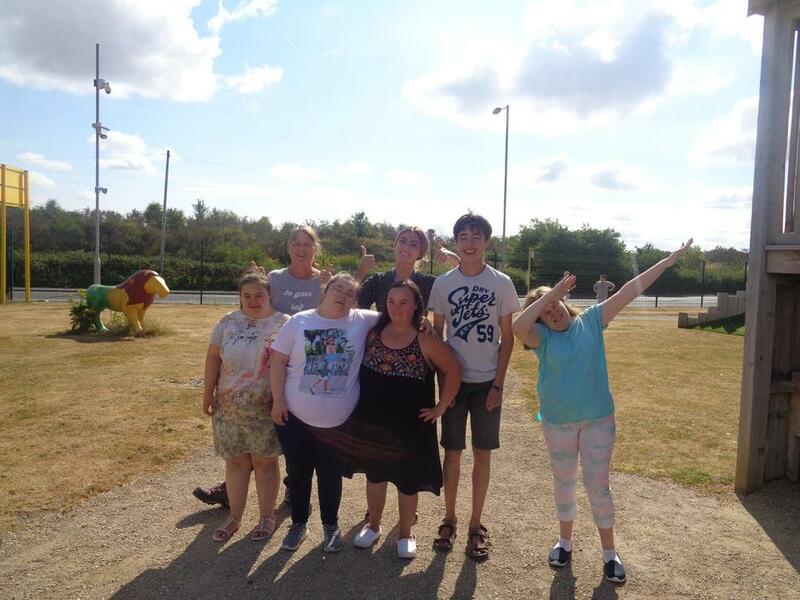 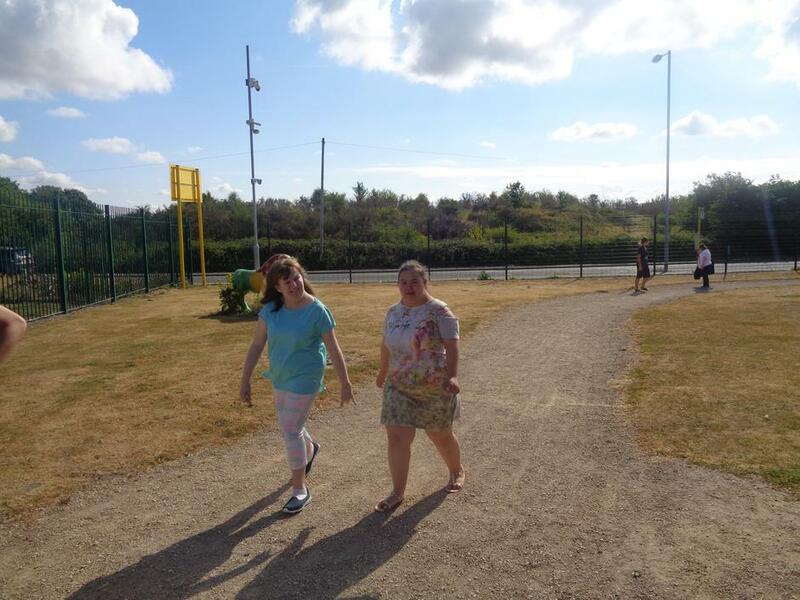 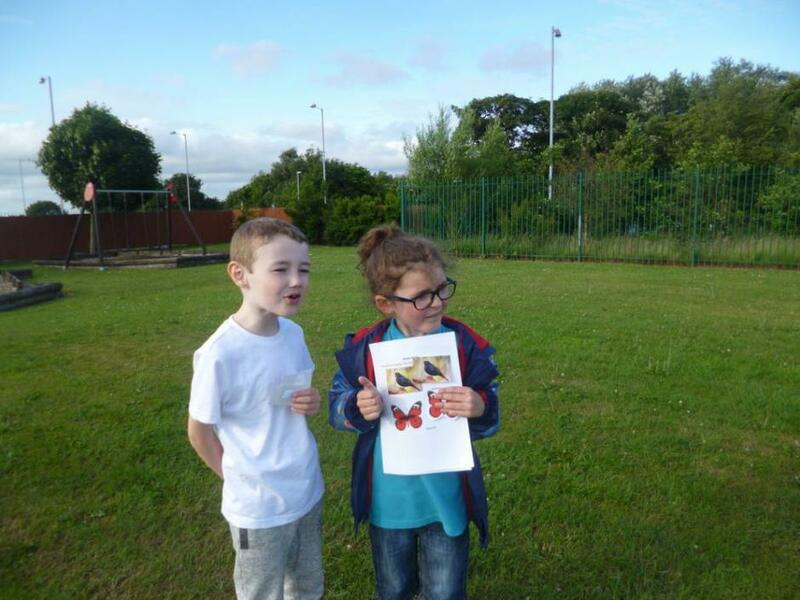 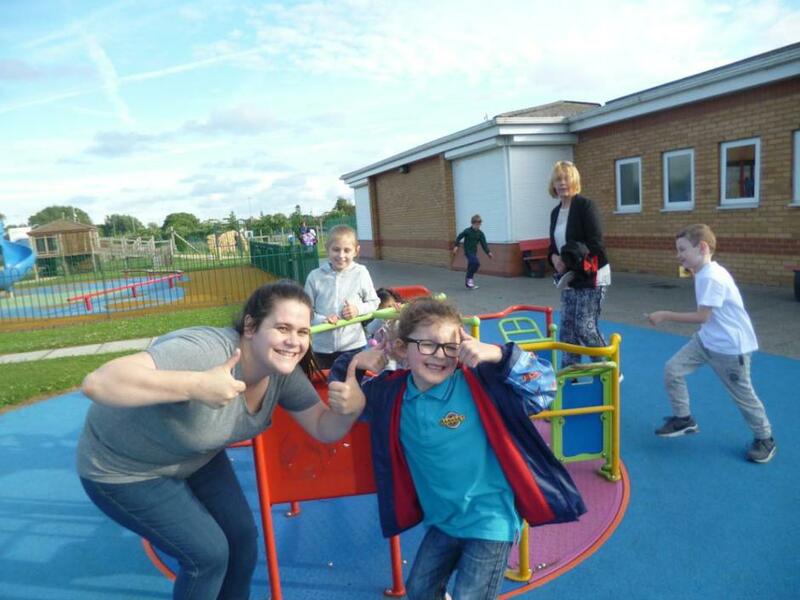 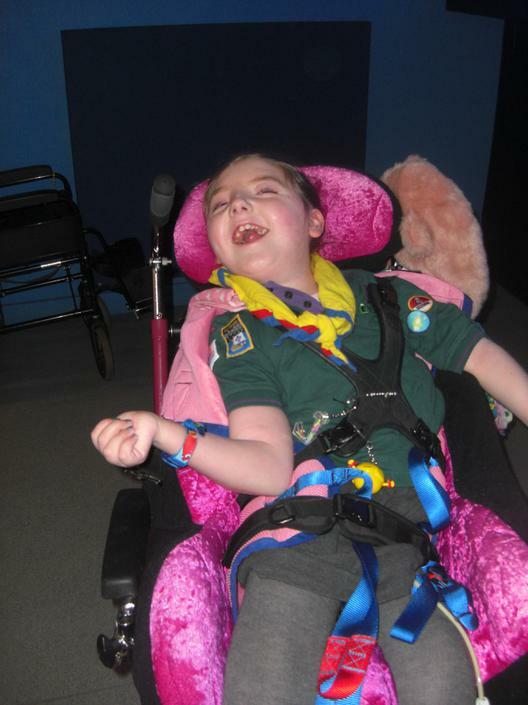 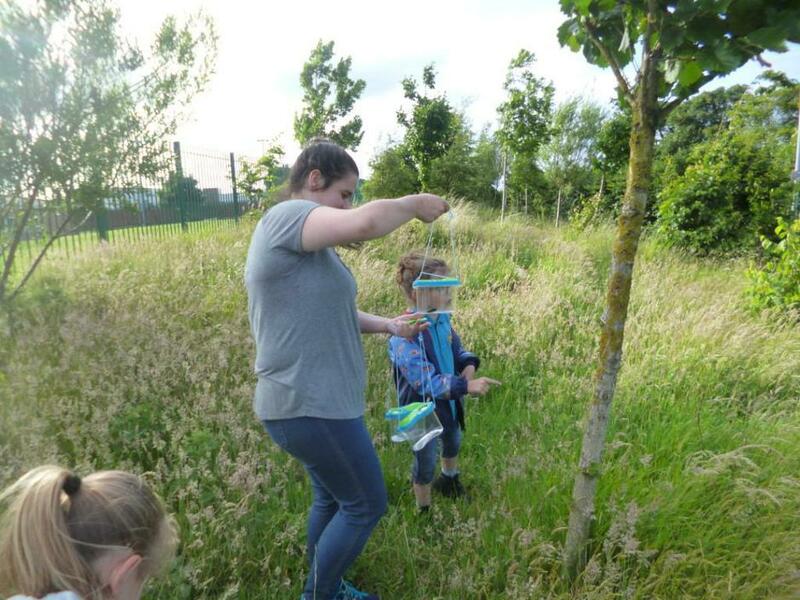 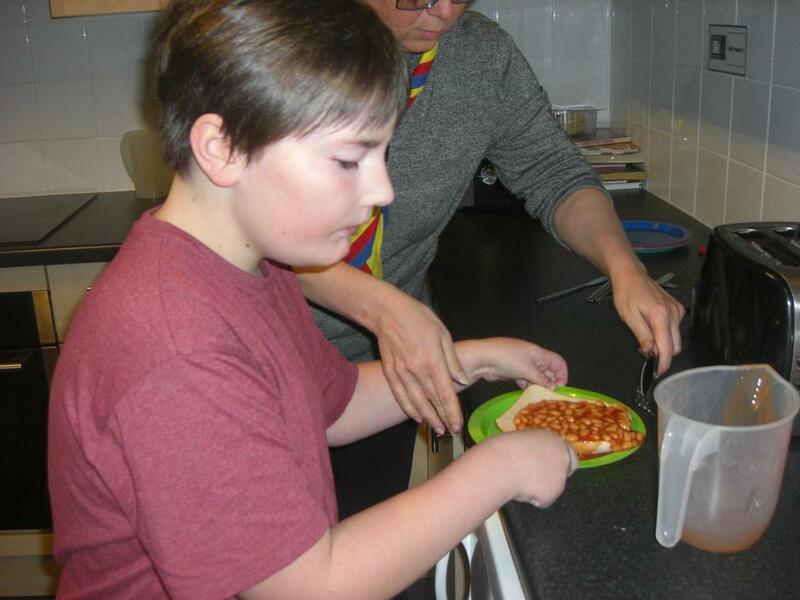 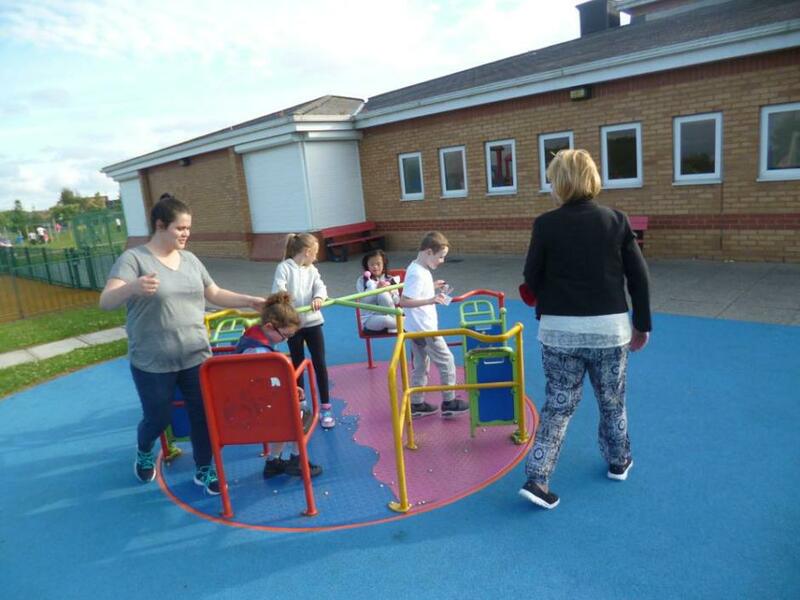 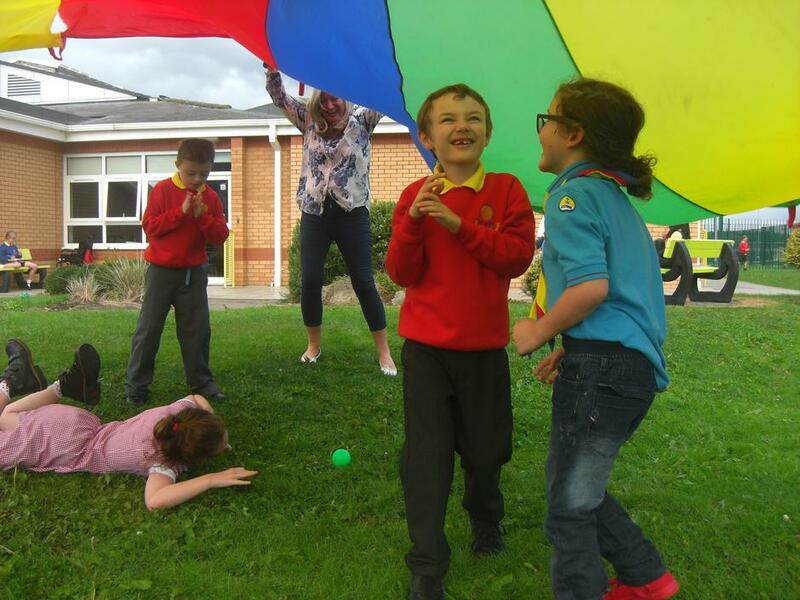 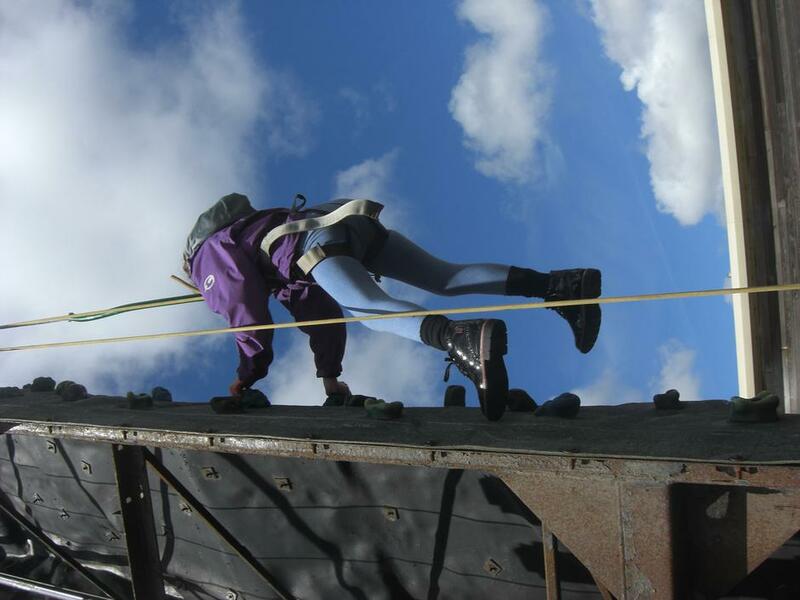 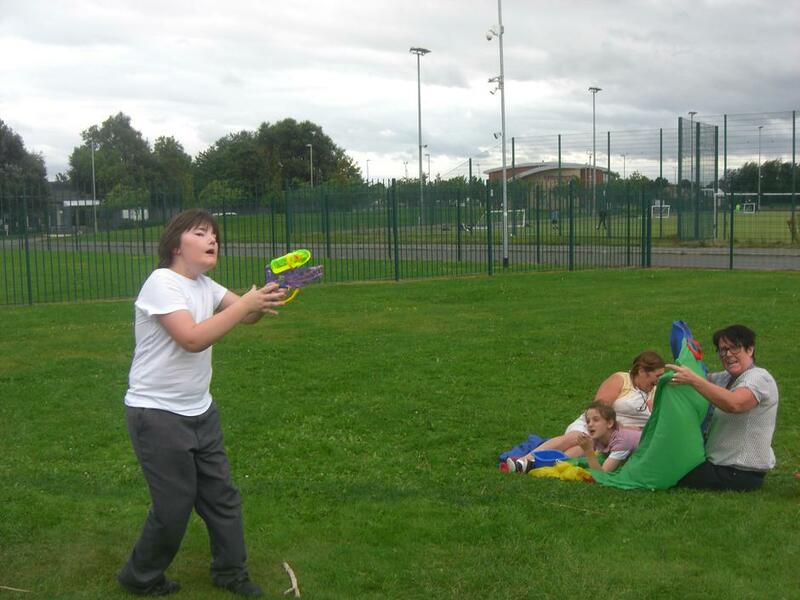 The section is run by a Group Scout Leader – Cathie McDonald – who has been in scouting for many years and has trained with the Altside District to set up Rowan Park Schools Scouting Group. 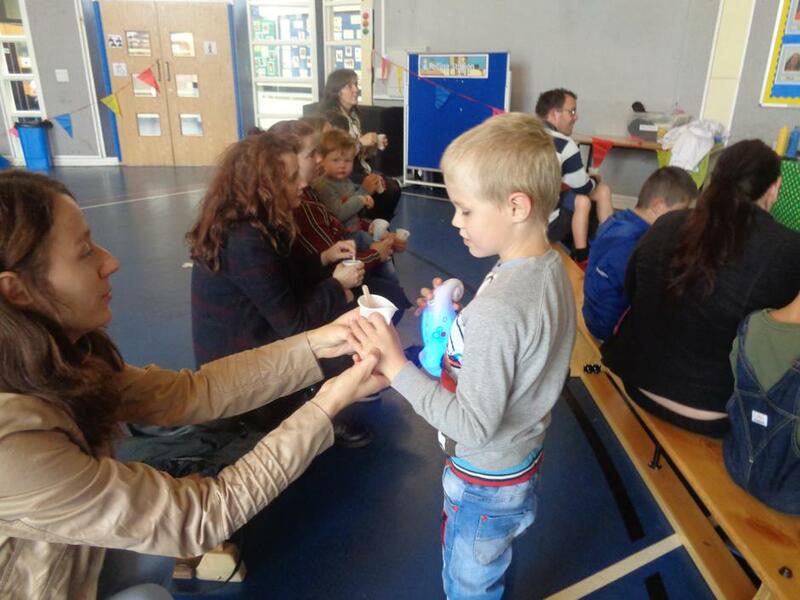 We work with children from 5 ½ to 14. 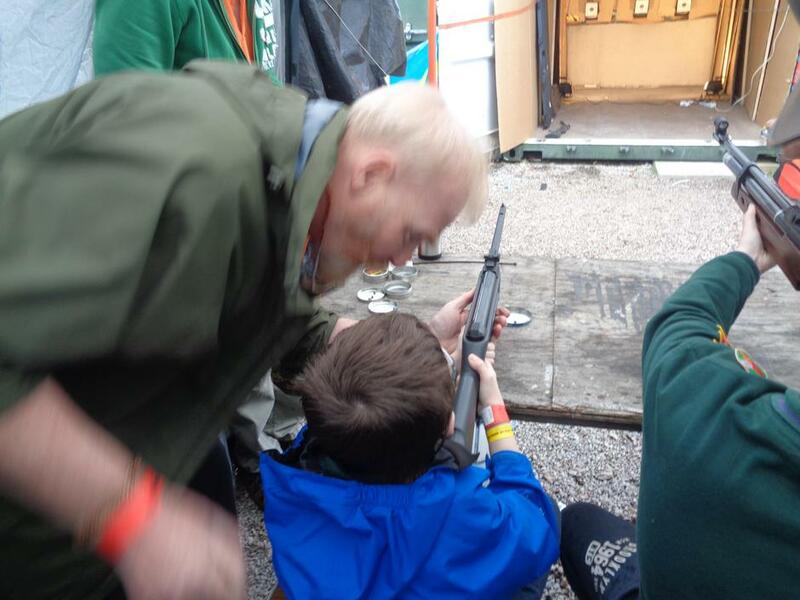 Scouts – 10-14 years old. 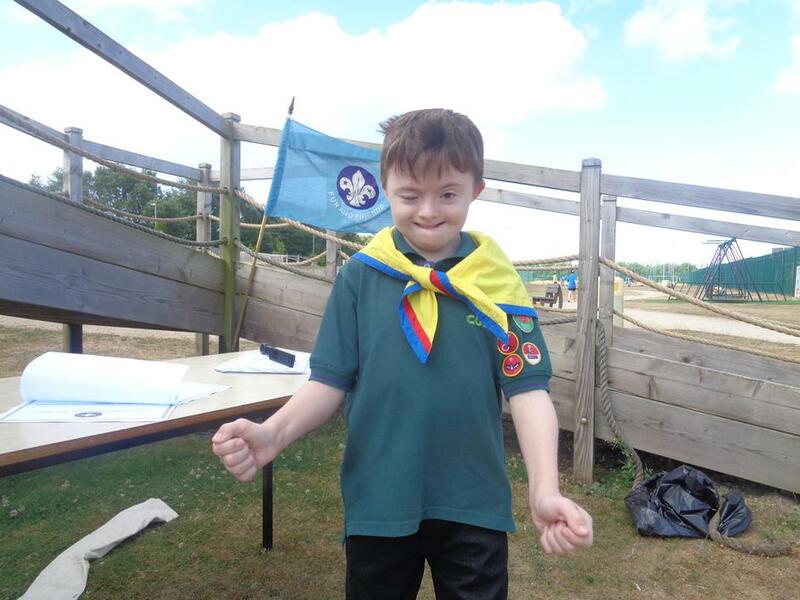 The Scouting association has granted us permission to adapt their badge and awards schemes to suit our children’s need so that every child has the chance to achieve awards. 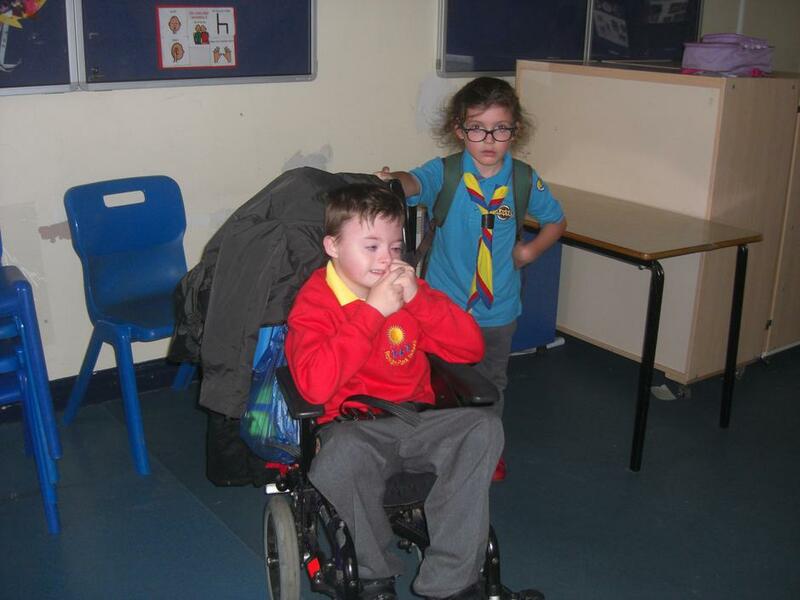 The badge planning is done for a school year period and we aim for the children to earn three badges a year. 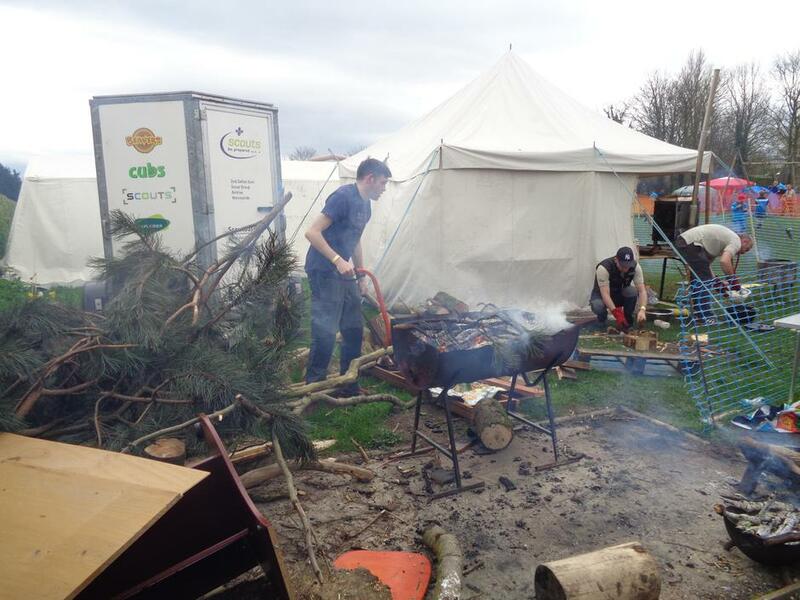 Community Impact stage 1, Chef Badge and Forester Badge. 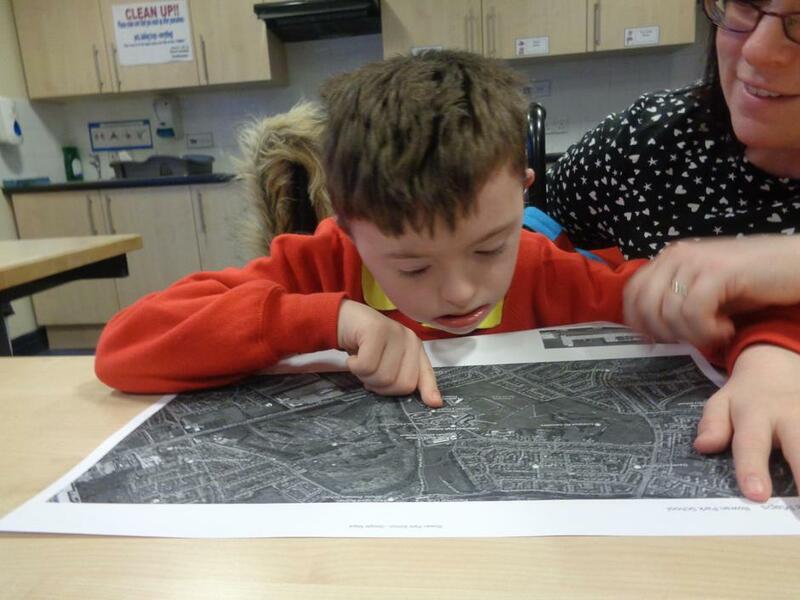 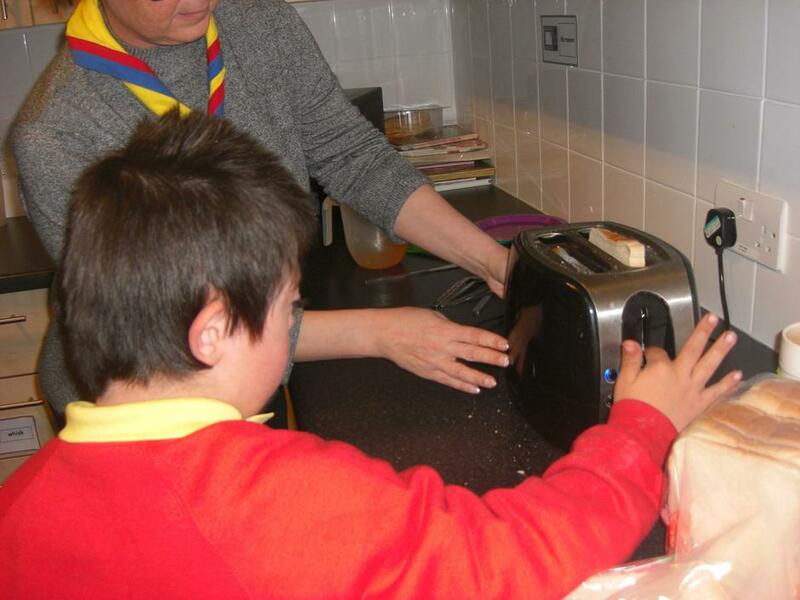 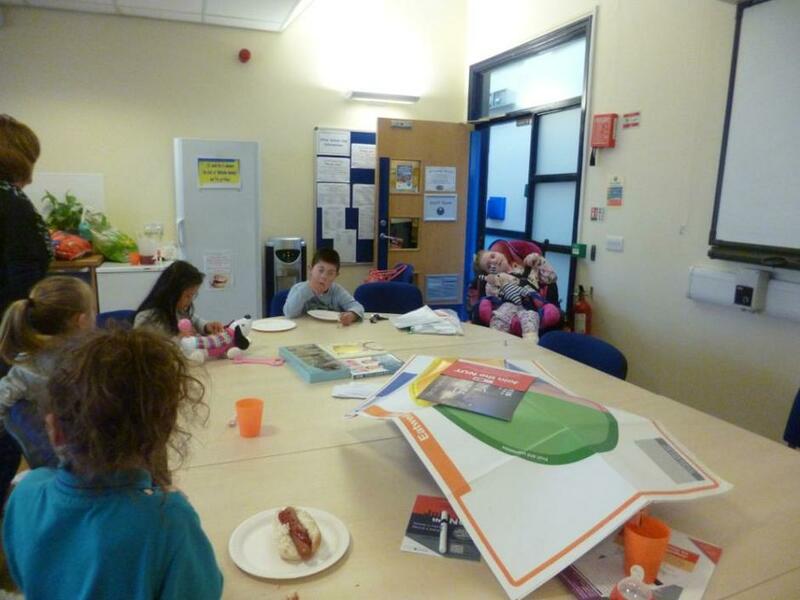 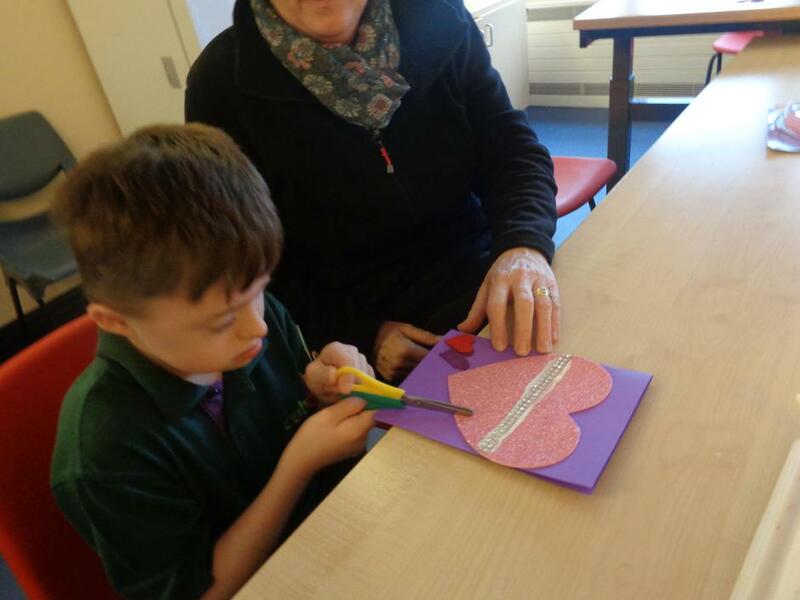 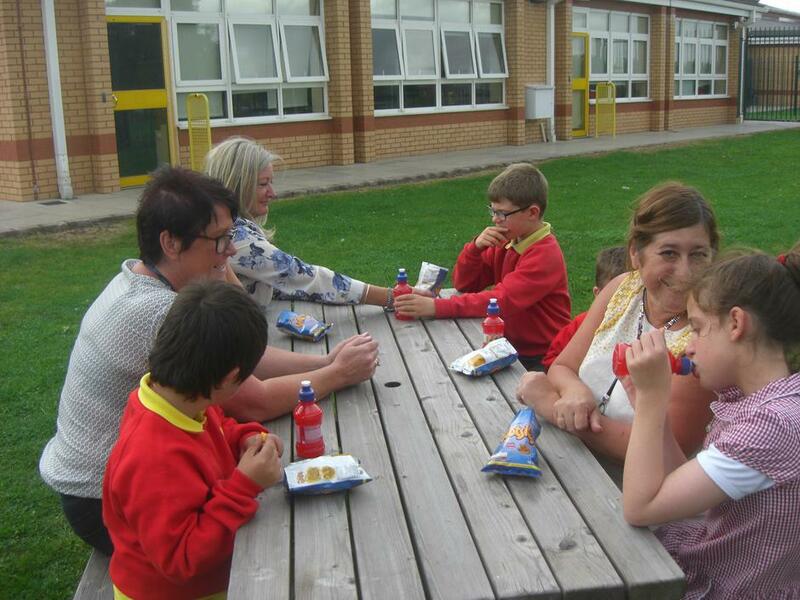 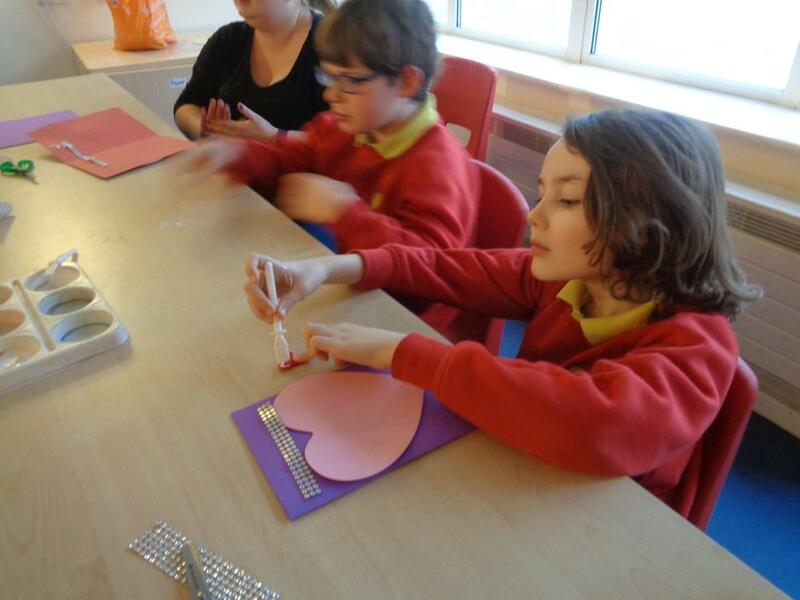 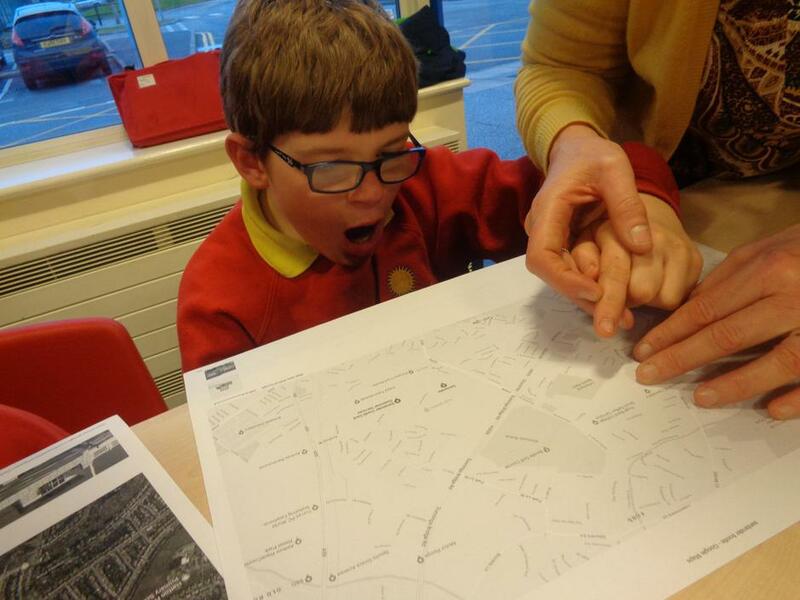 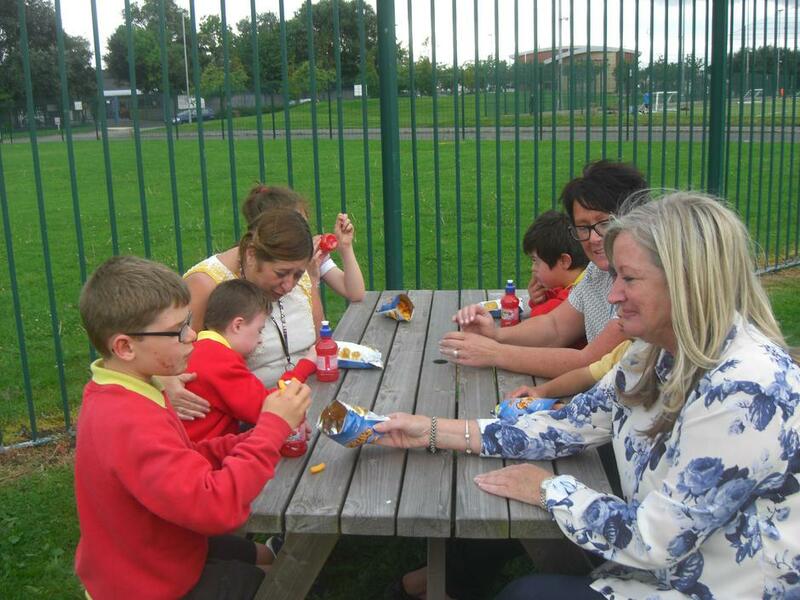 Children receive support for achieving their badge work to ensure all participants succeed. 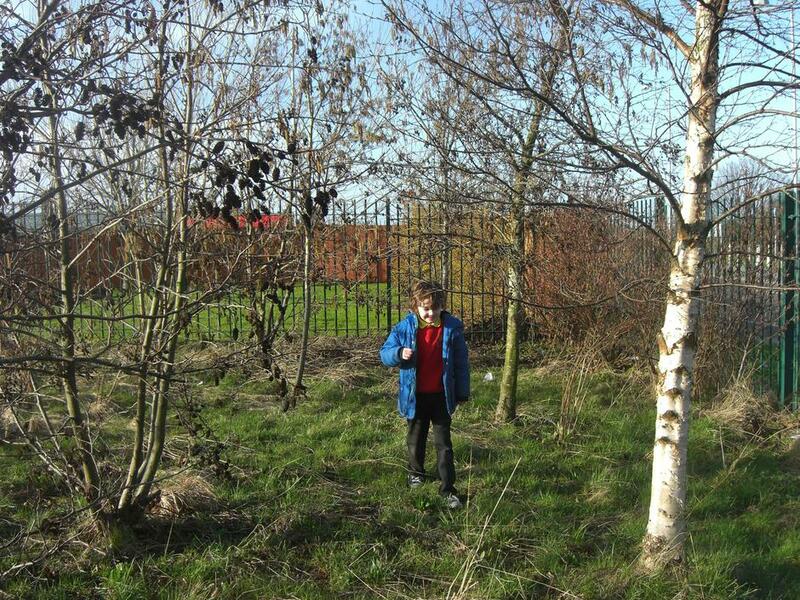 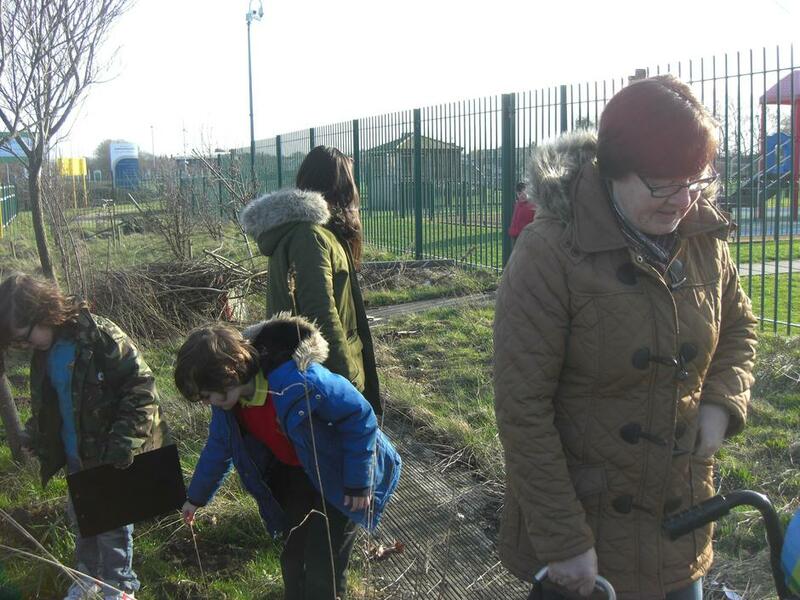 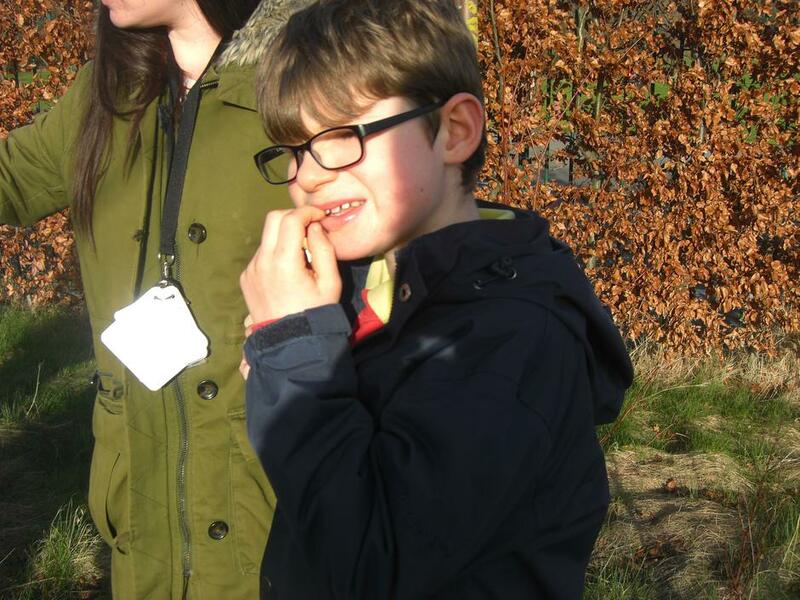 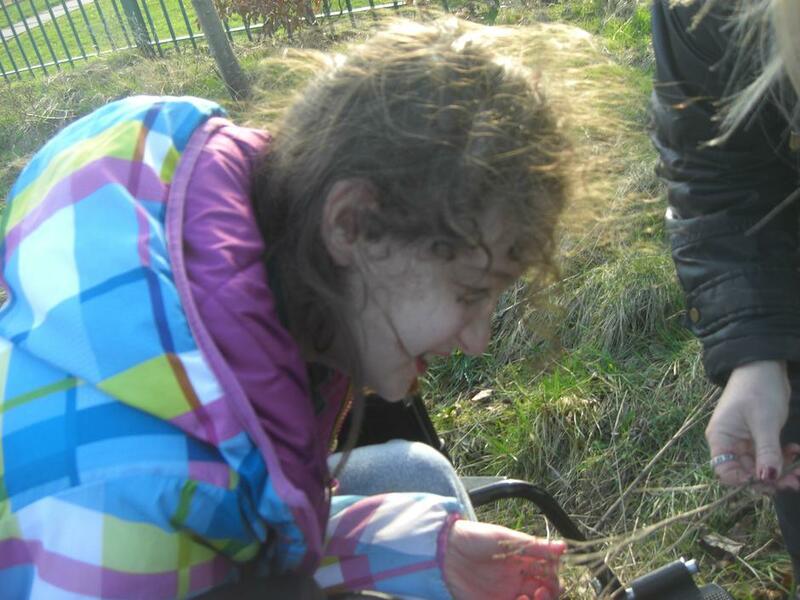 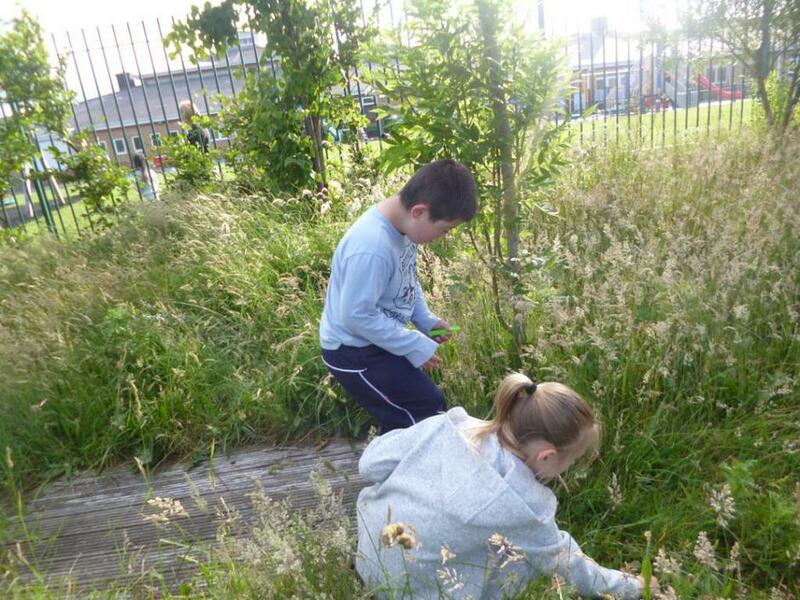 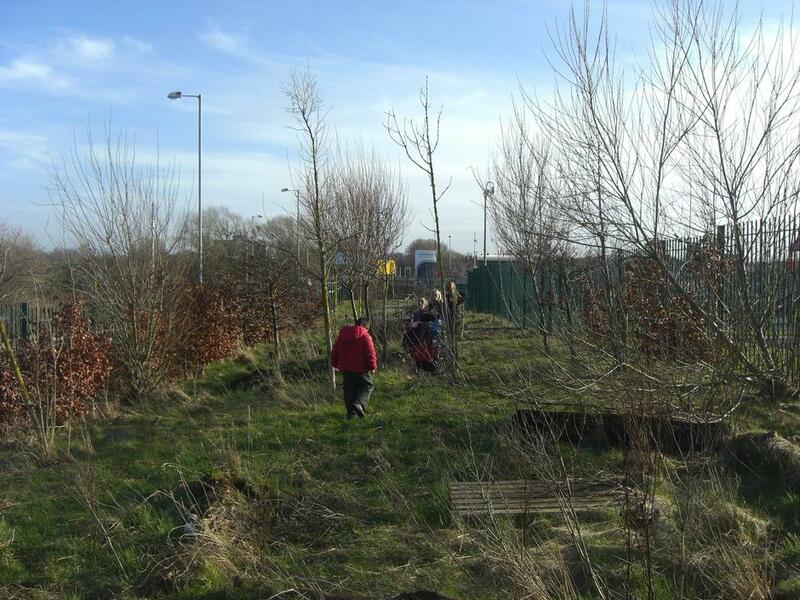 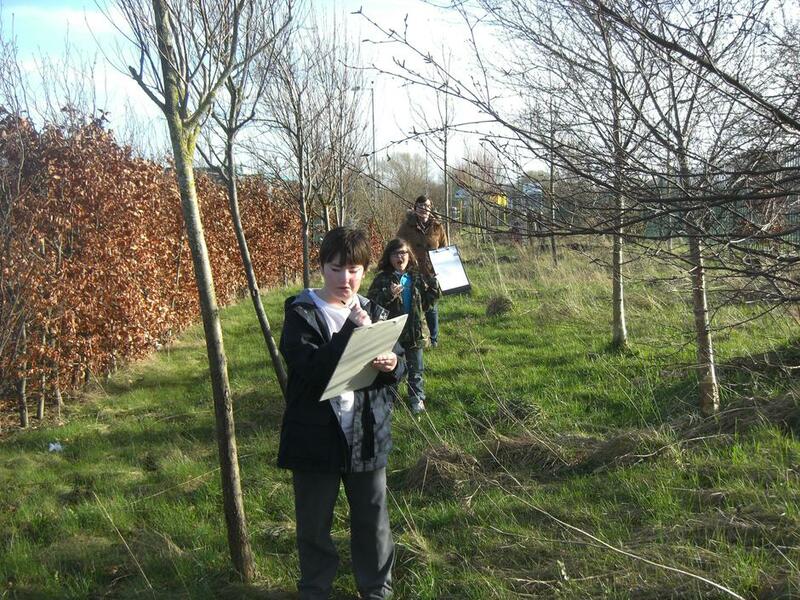 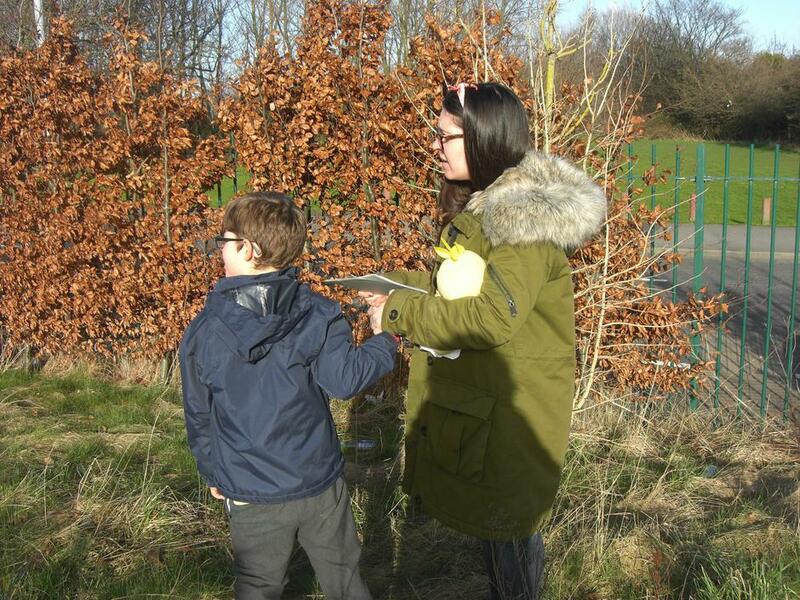 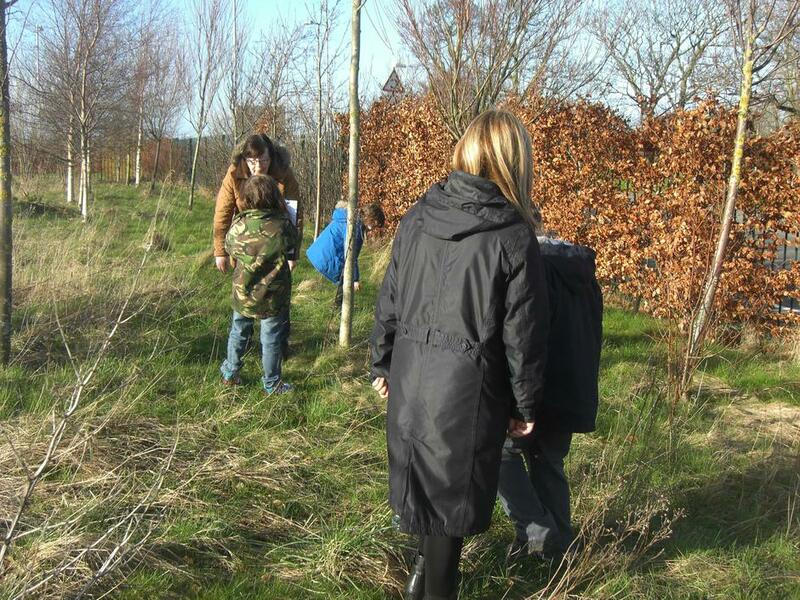 During the Spring and Summer term we will be working in the Forest School making weekly visits to learn about nature, what we can do to help nature and hopefully planting a couple of fruit trees to watch them grow and hopefully taste their produce - if/when we get any!! 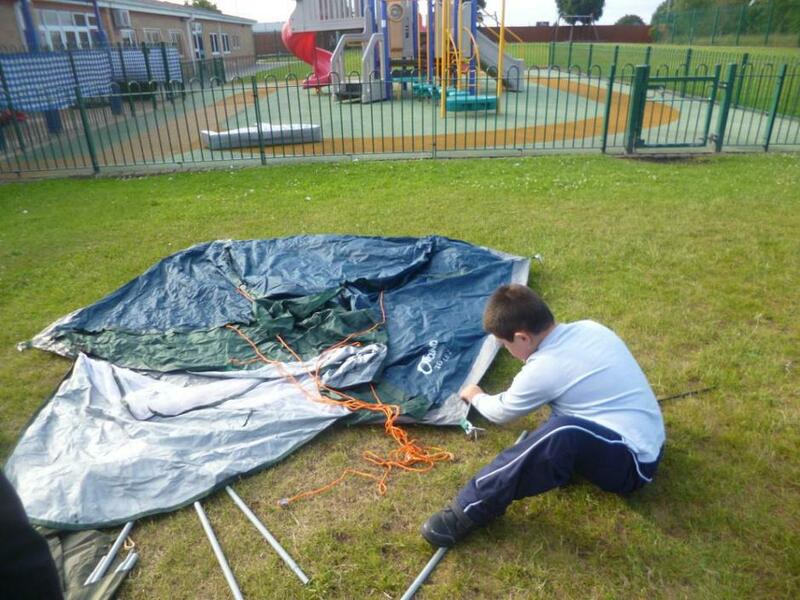 Scouts will also be making crafts of a nature base and will be taking them home. 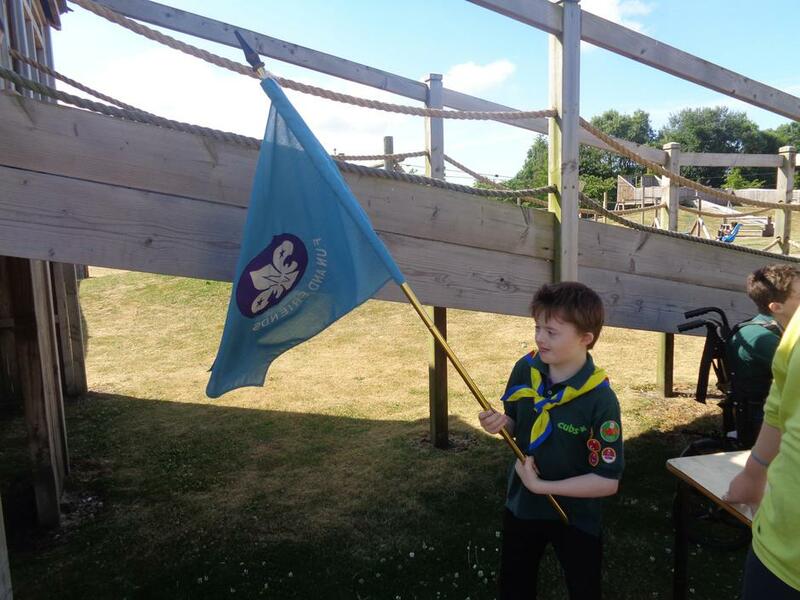 Through regular attendance to Scouting sessions all sections will be working towards their Nature Badges which will be awarded at the end of the academic year. 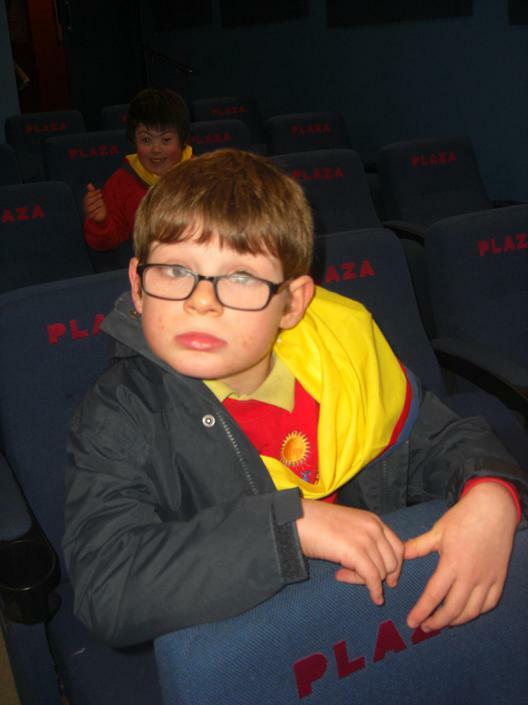 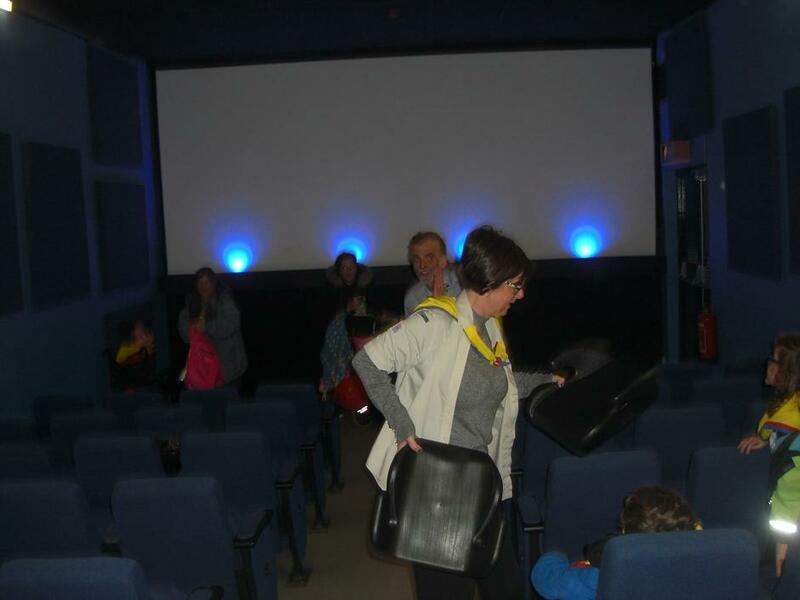 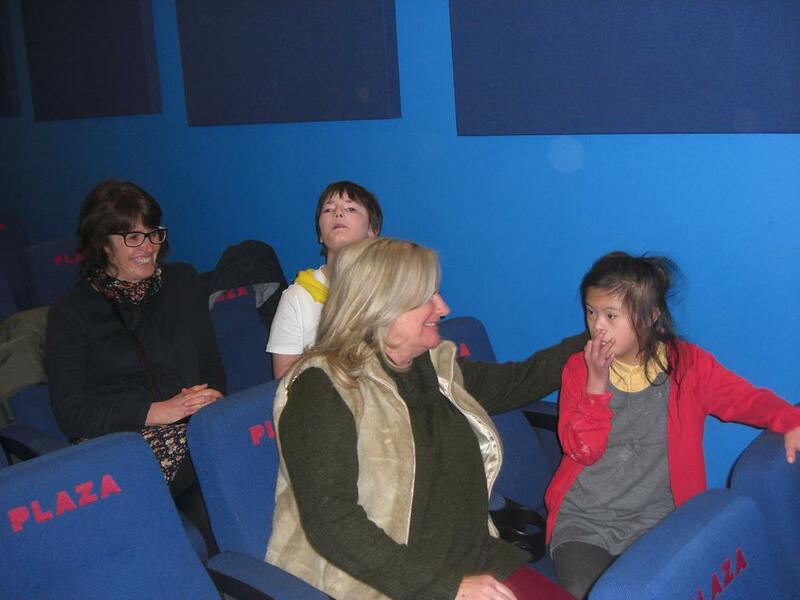 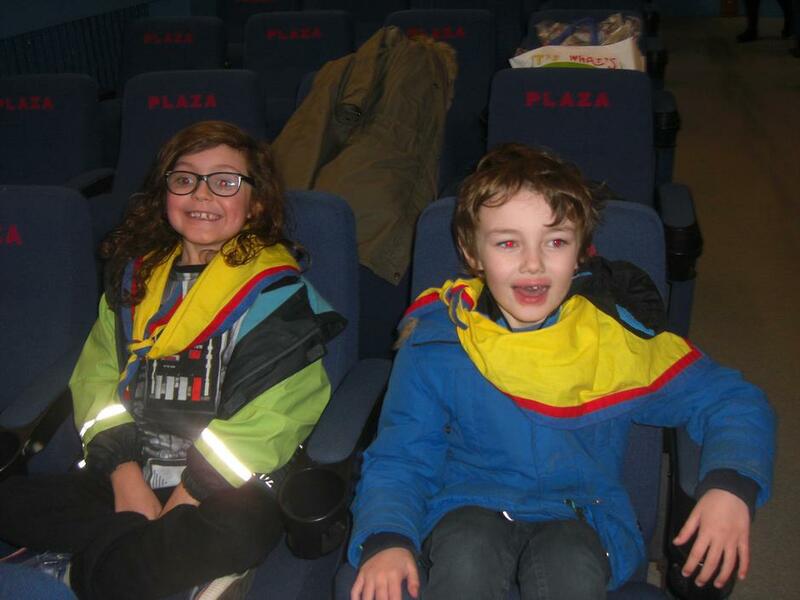 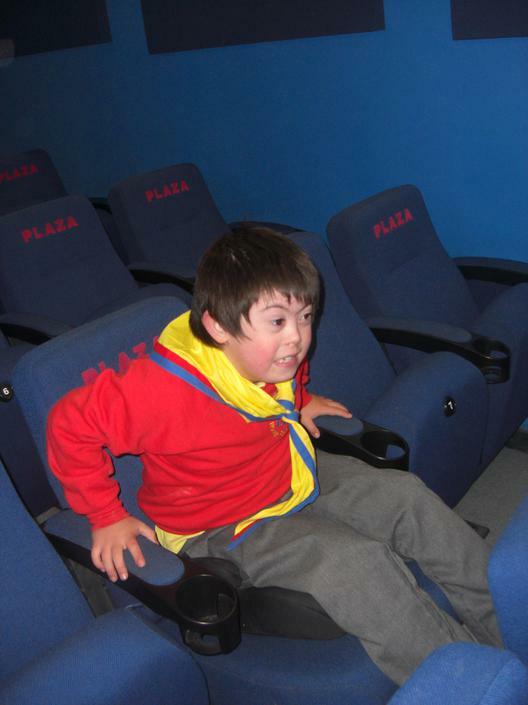 1st Litherland Scouts are off to the Cinema on 5 December 2016 for their Christmas Treat. 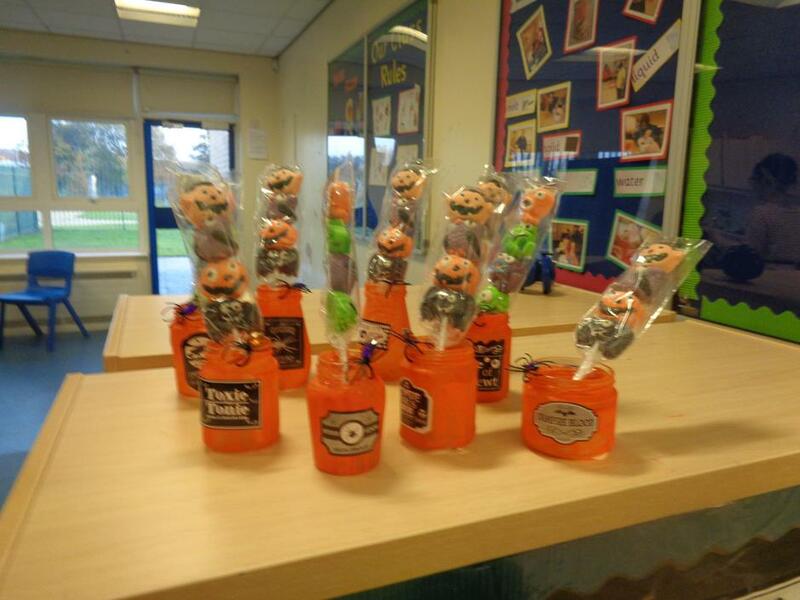 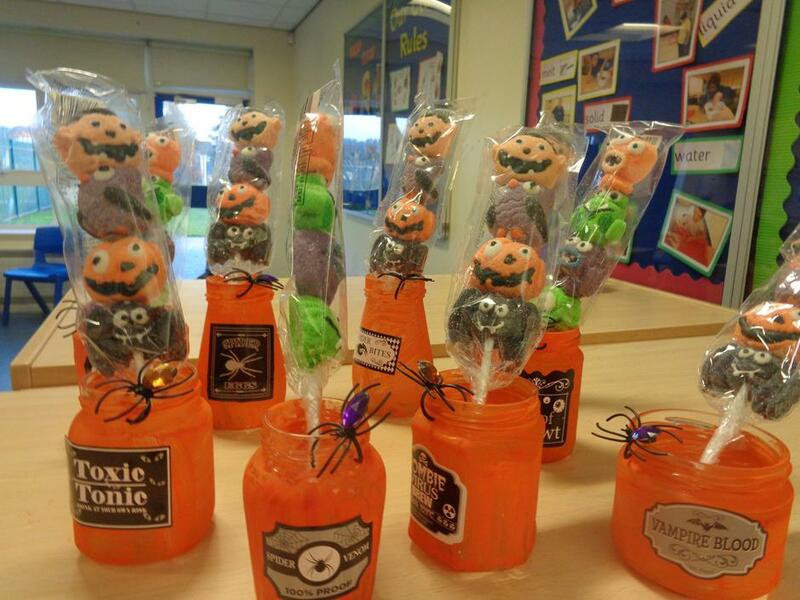 Children will be leaving school at 2.45pm and returning for collection by parent’s/carers at 5.30pm. 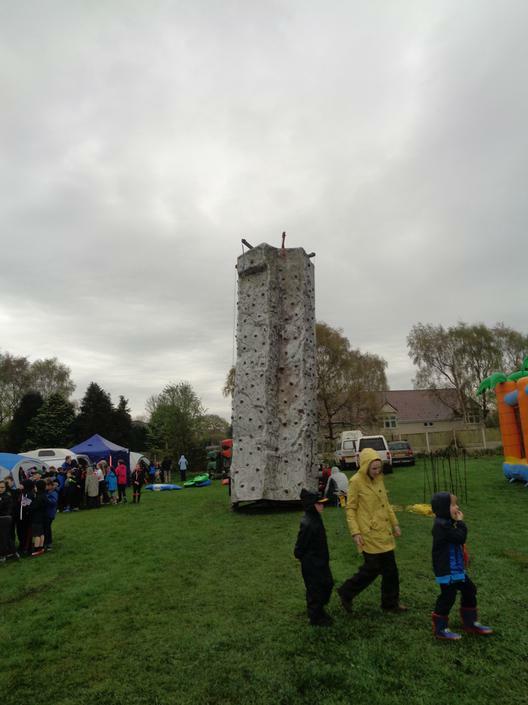 A big THANK YOU to Helvellyn class in the 16+ Department for helping raise money for this trip by running a Raffle for us! 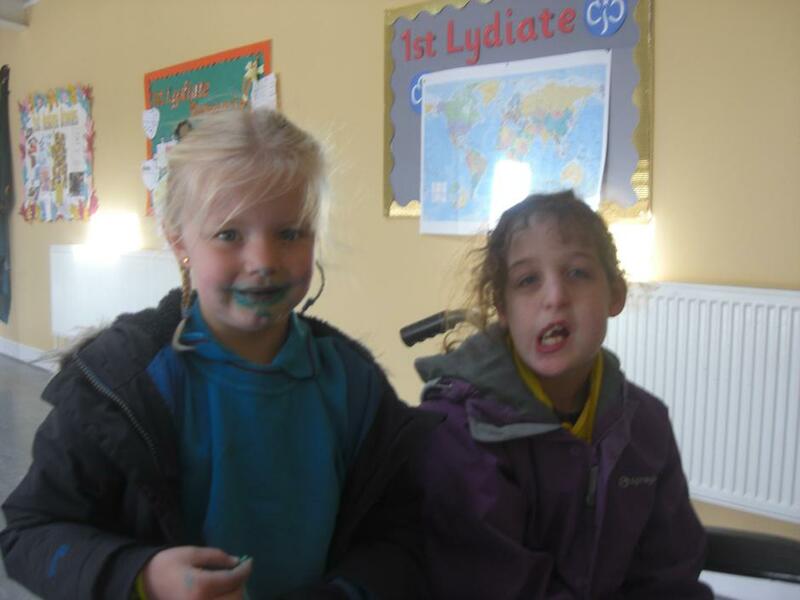 Scout's will be finishing for Christmas on Monday 12th December, we will be having a little Christmas Party in School. 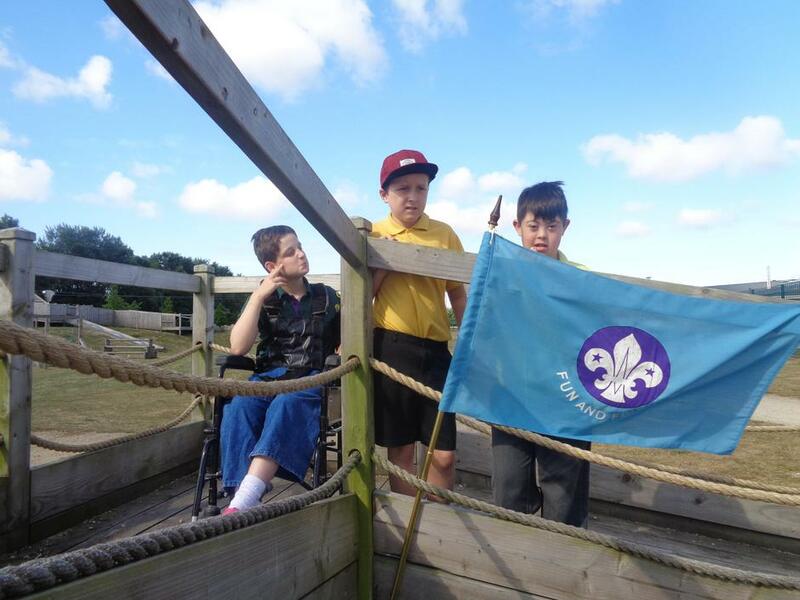 We will be returning to Scout's on Monday 16th January 2017 - so we wish you all a very Merry Christmas and a Happy New Year.